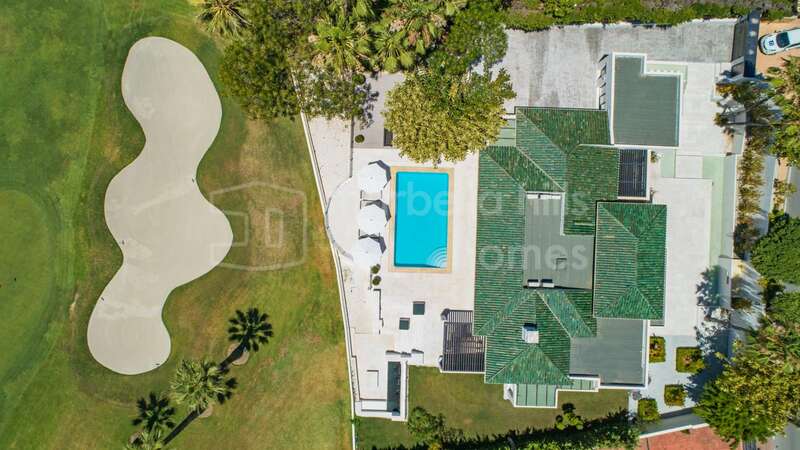 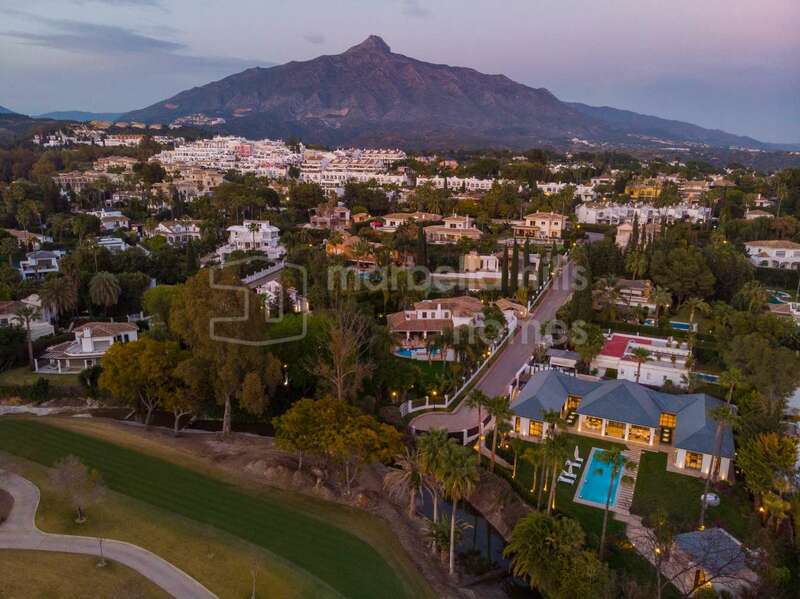 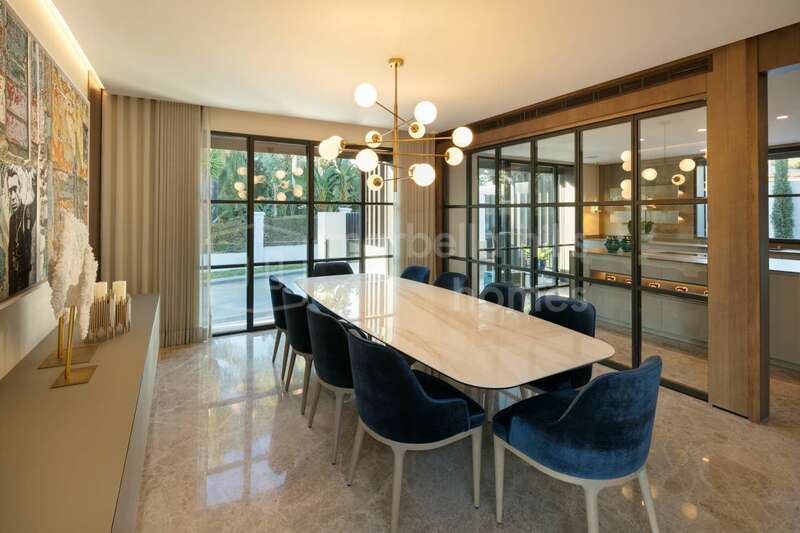 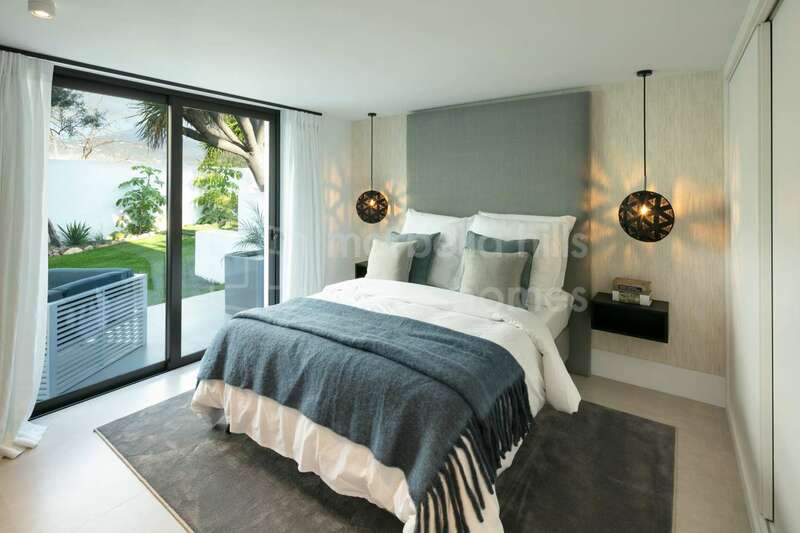 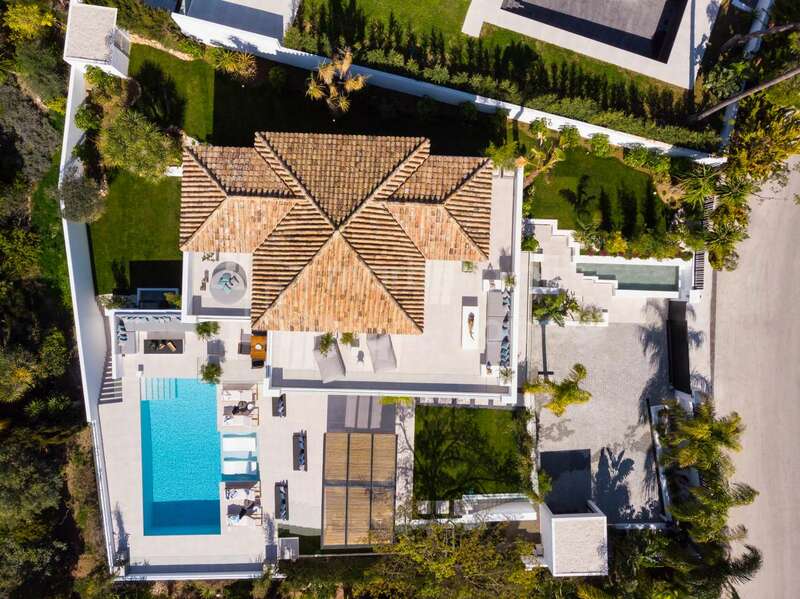 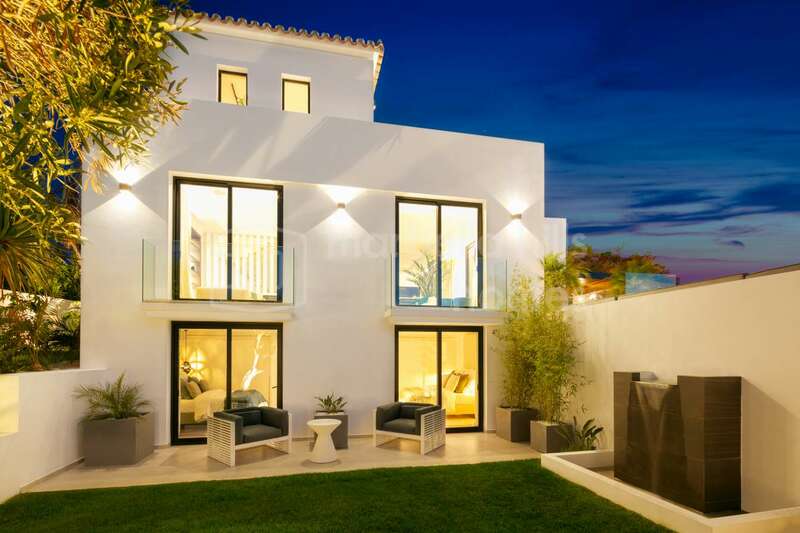 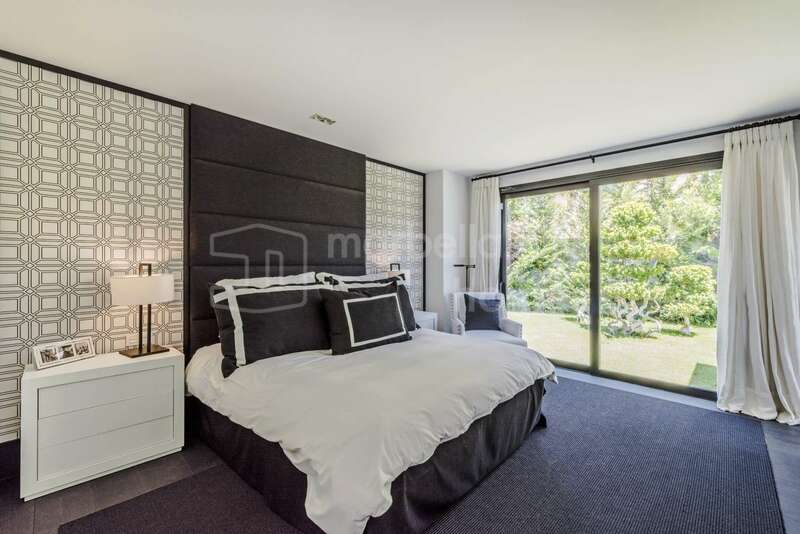 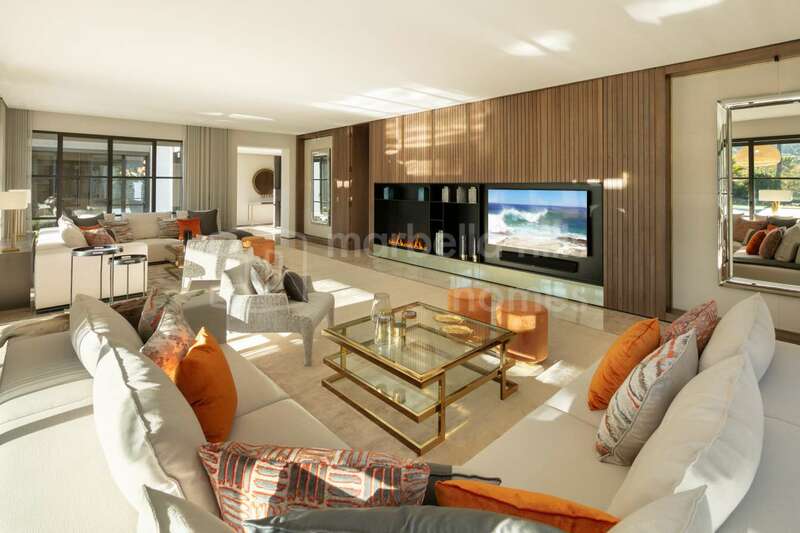 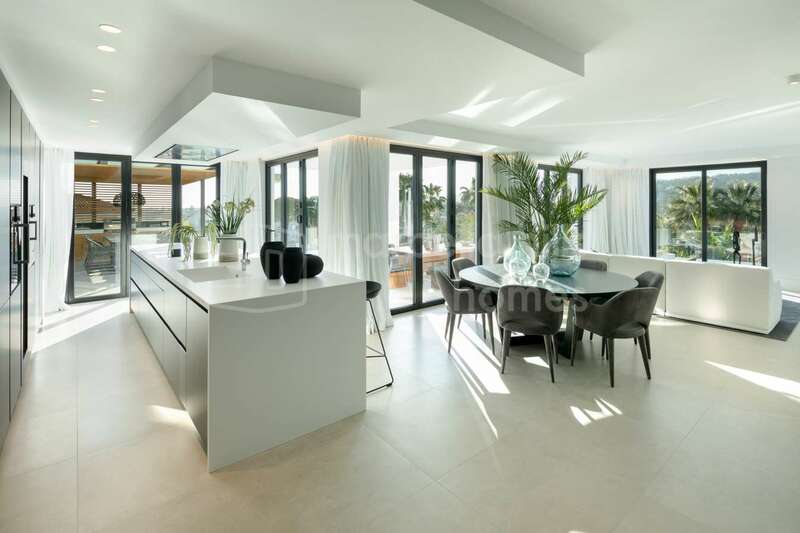 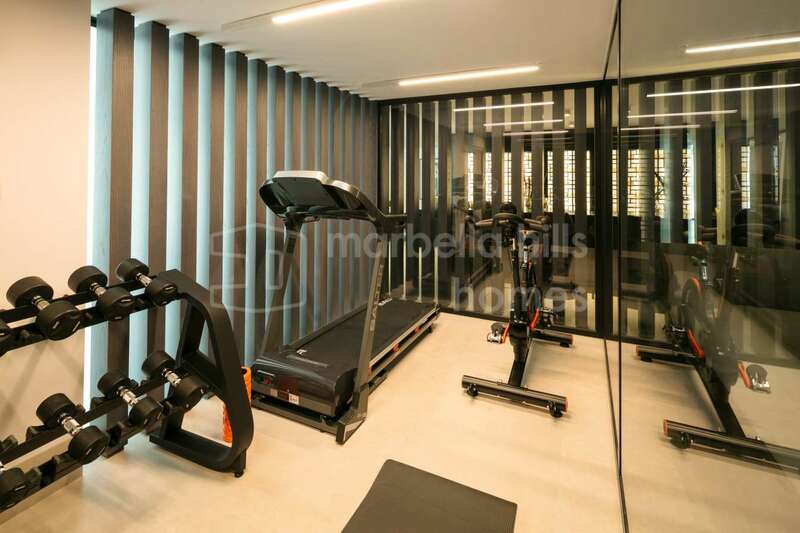 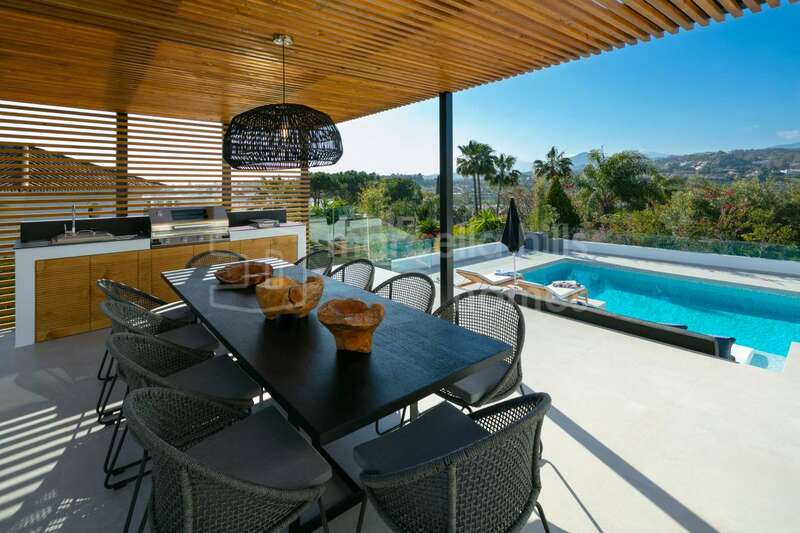 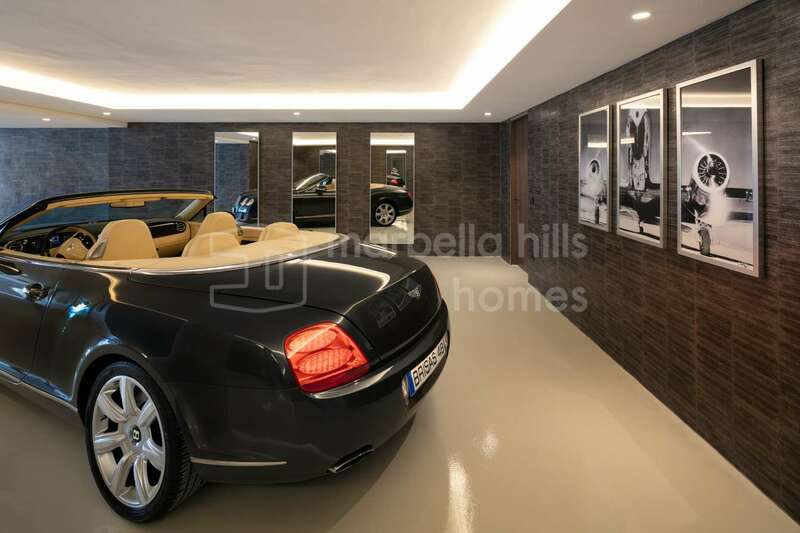 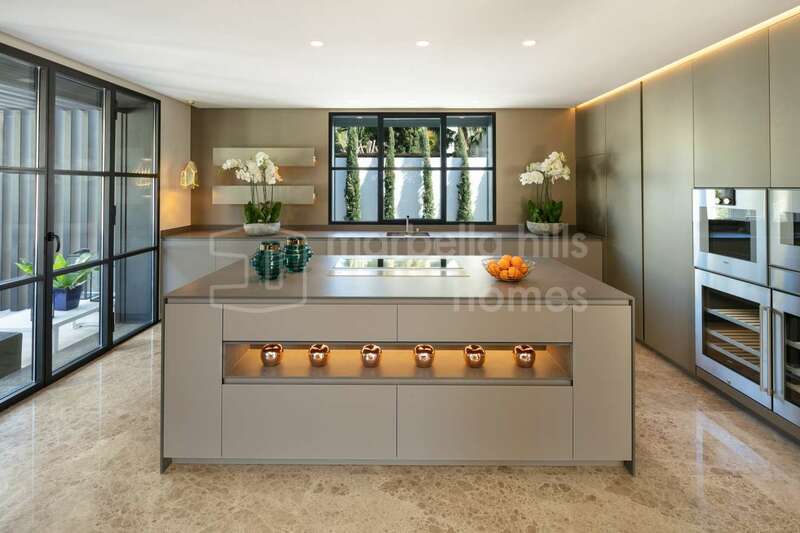 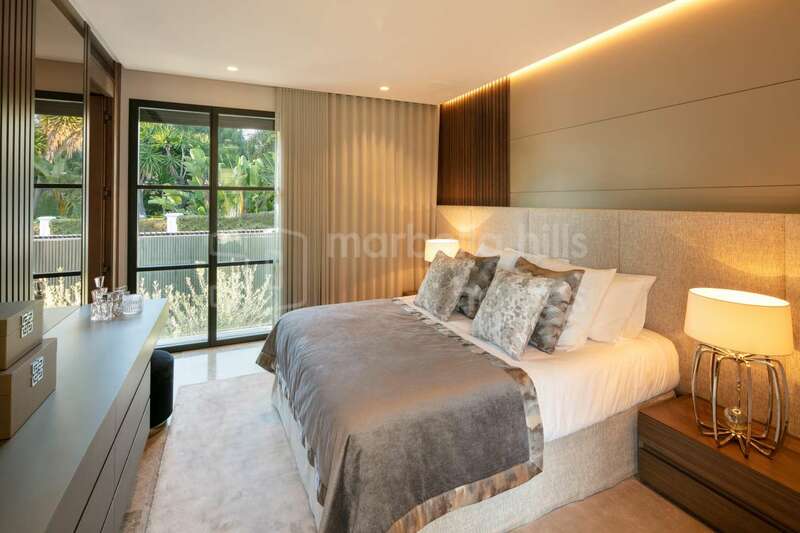 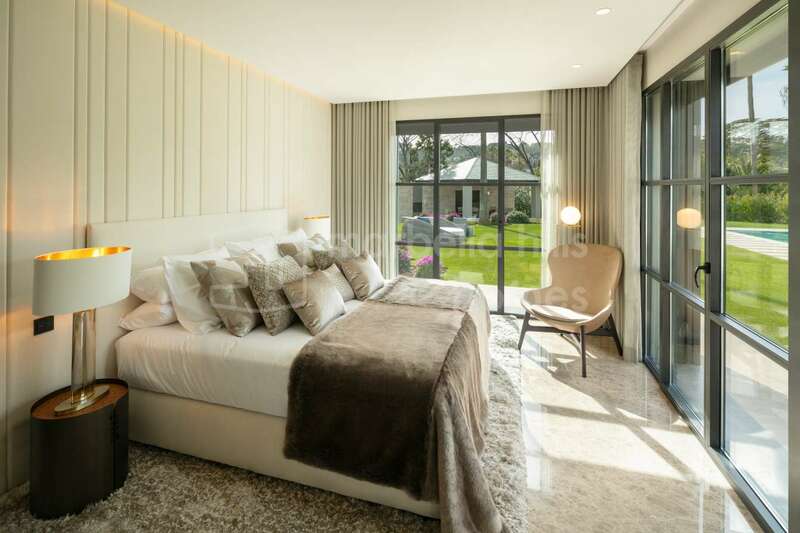 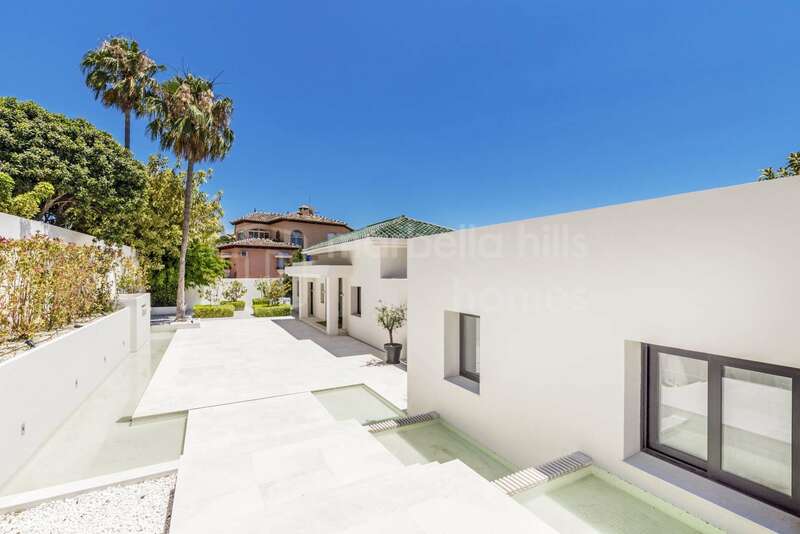 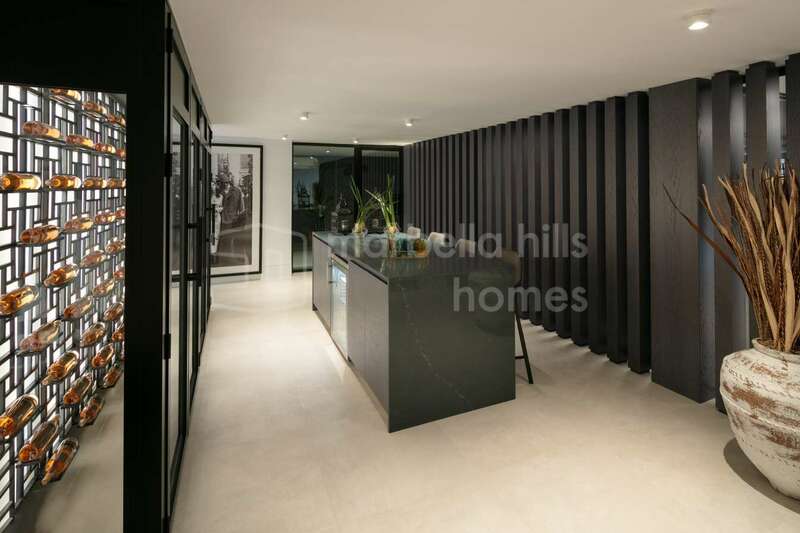 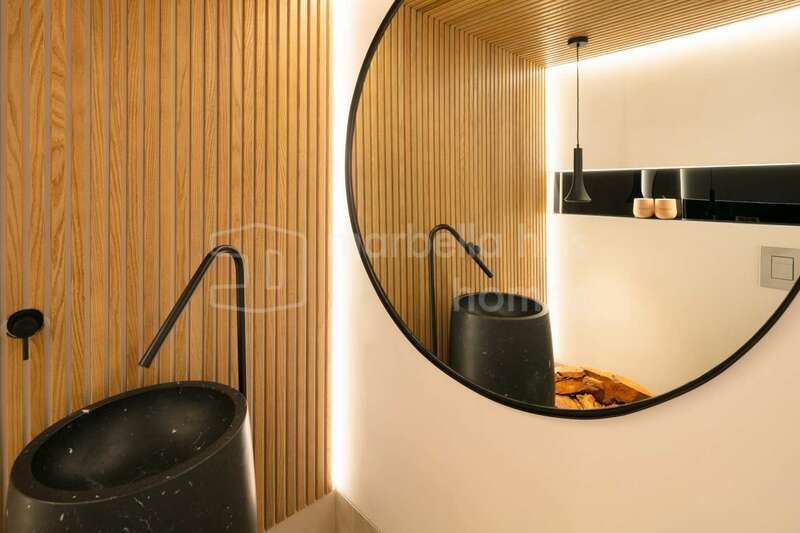 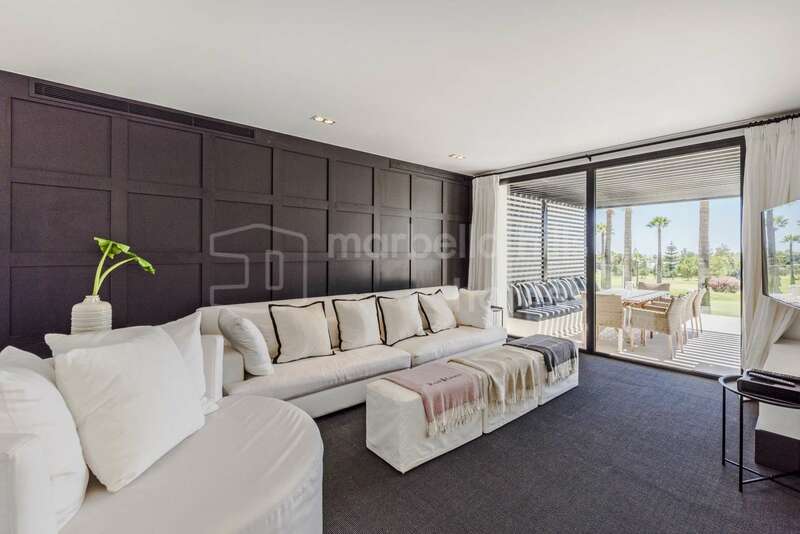 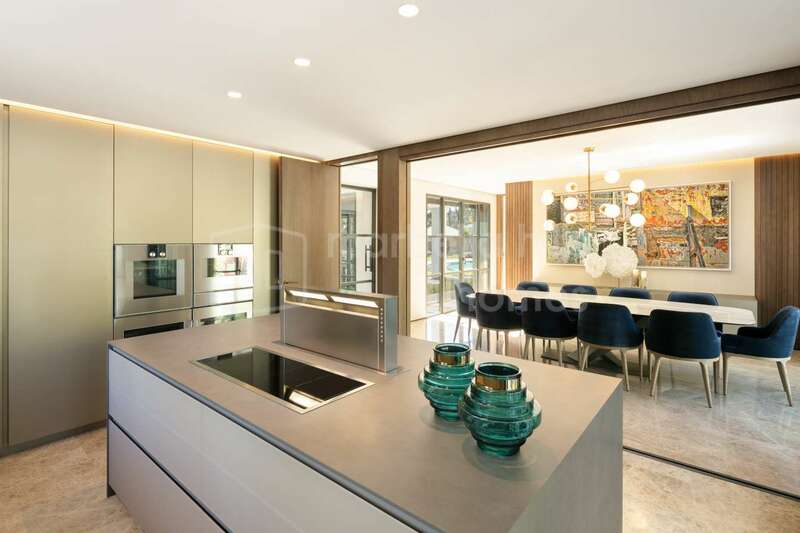 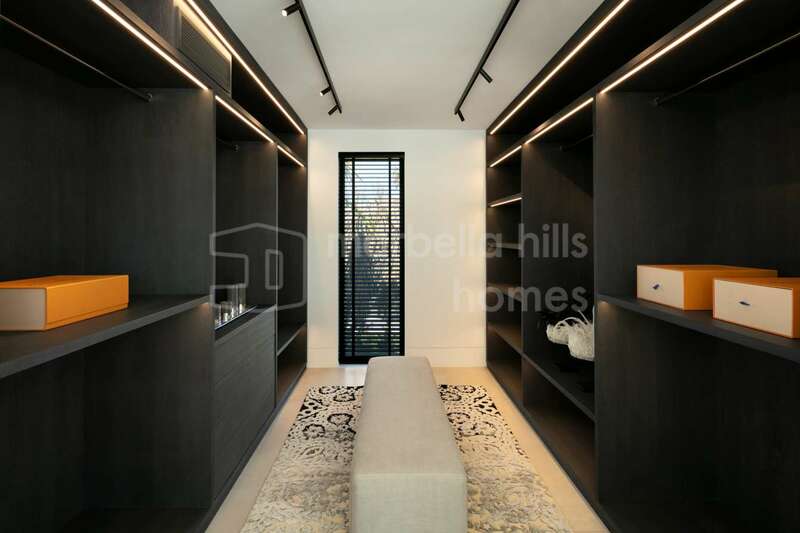 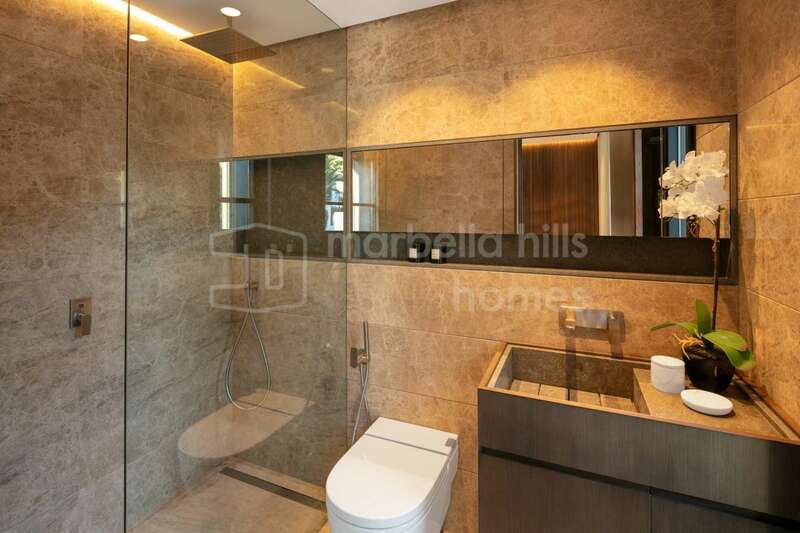 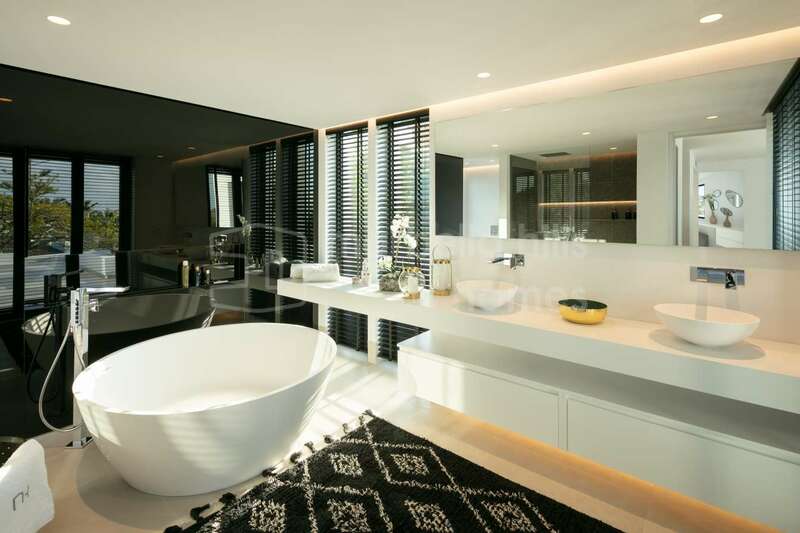 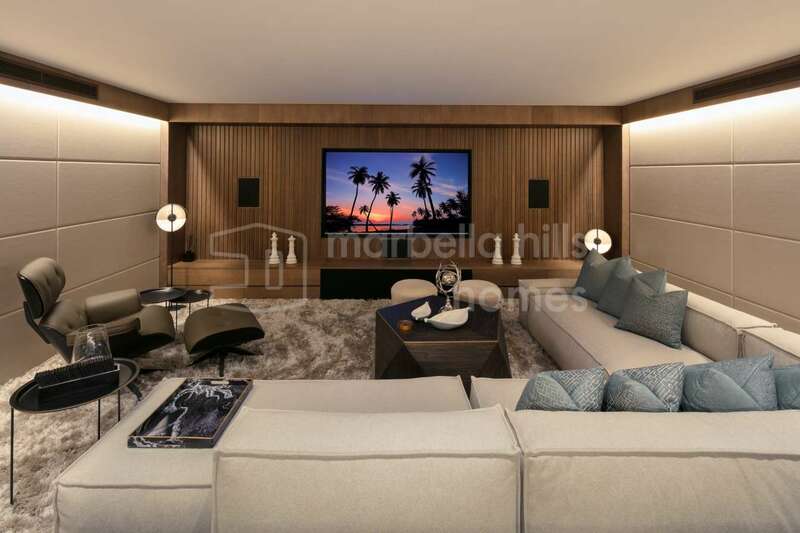 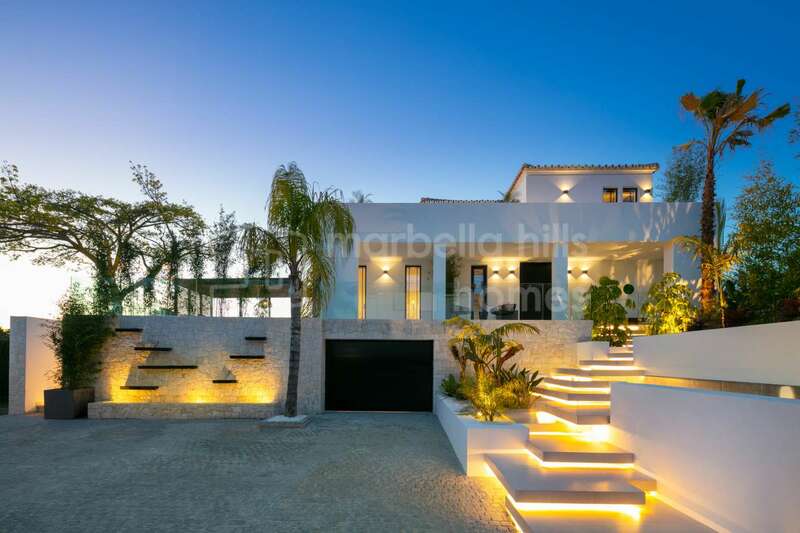 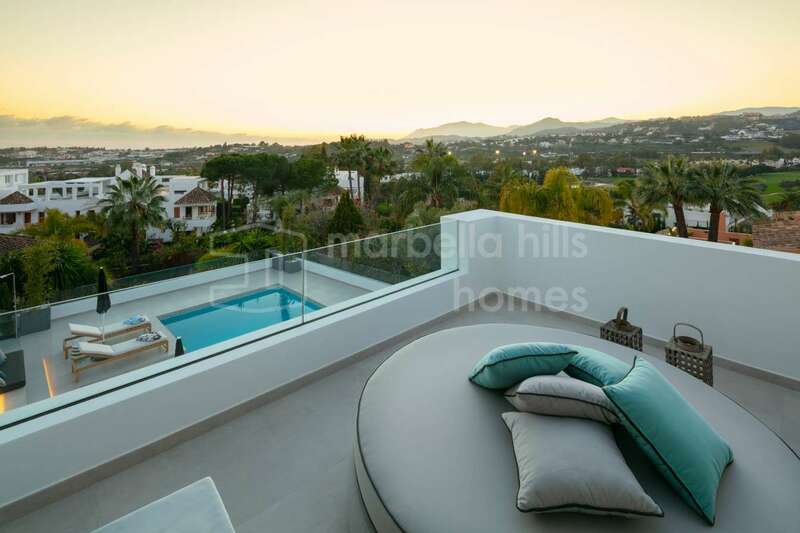 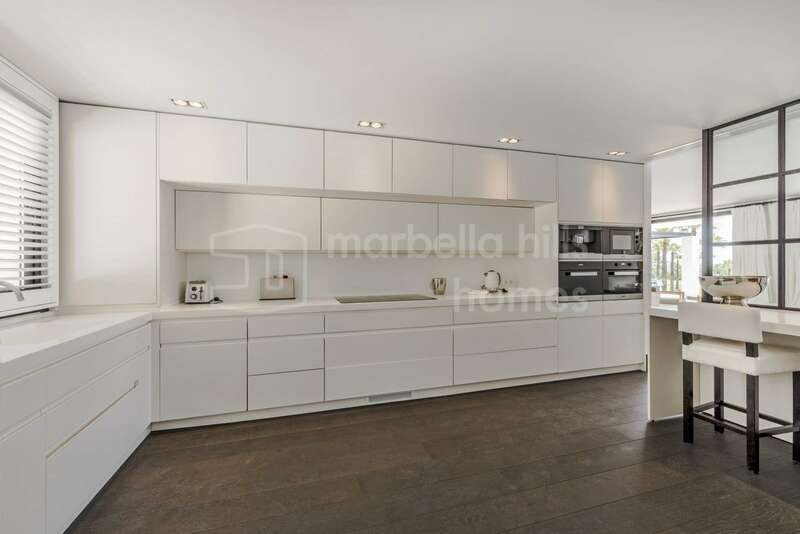 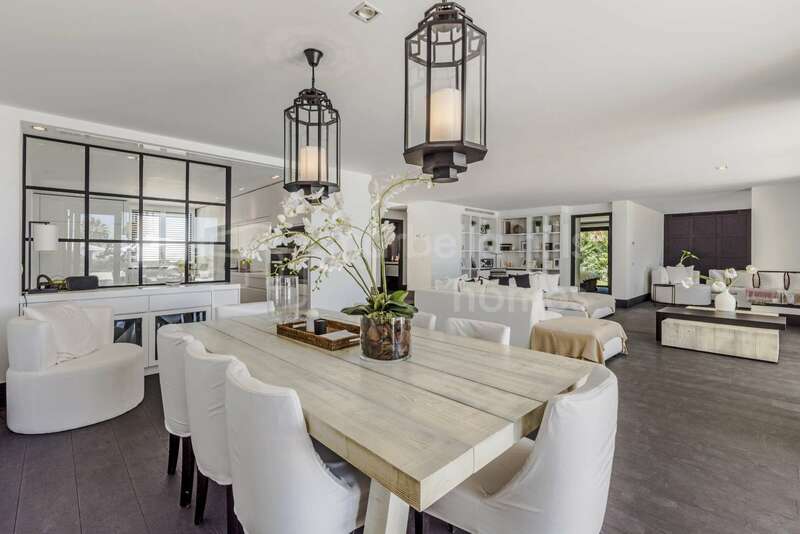 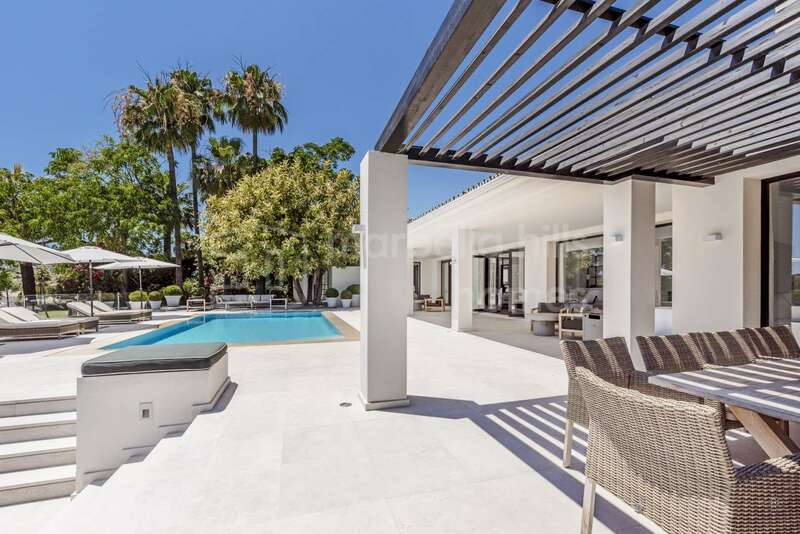 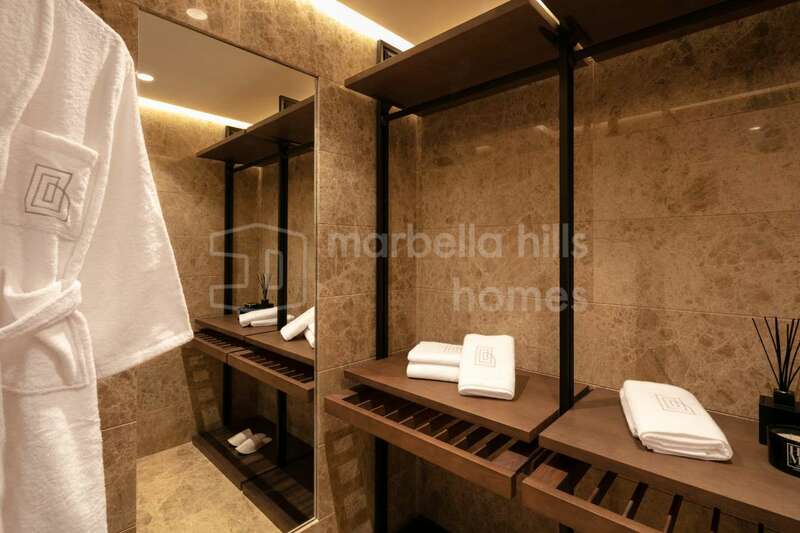 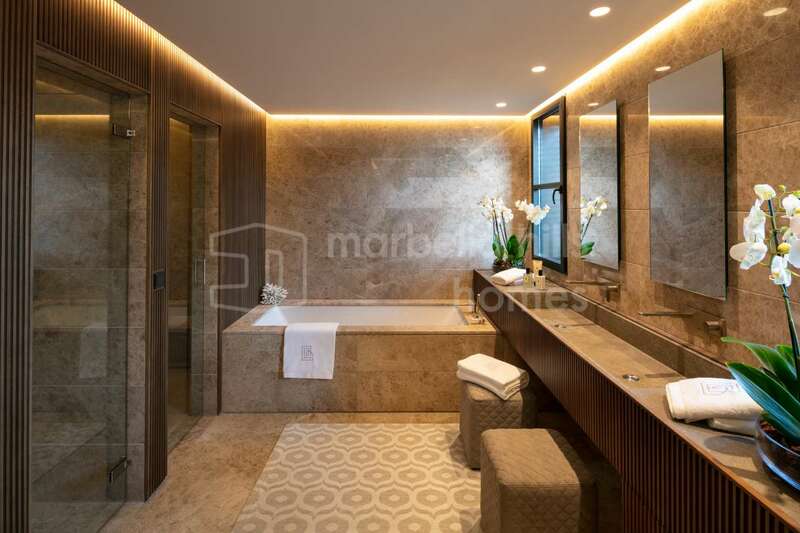 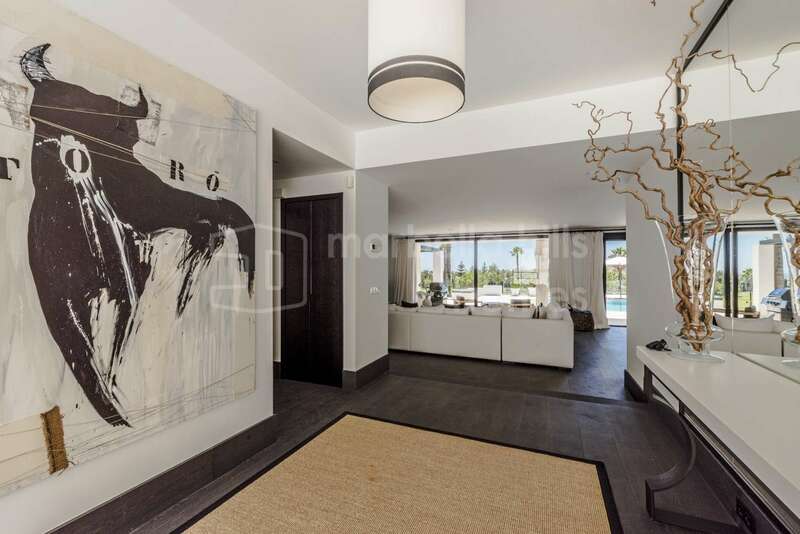 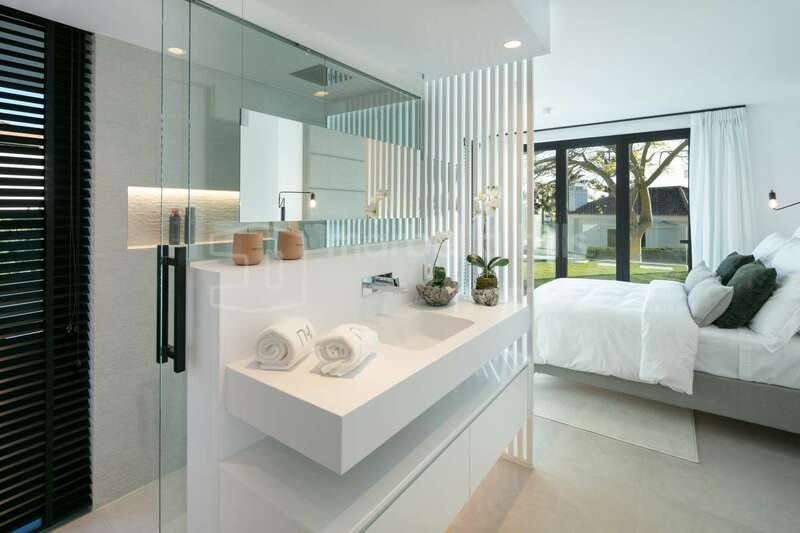 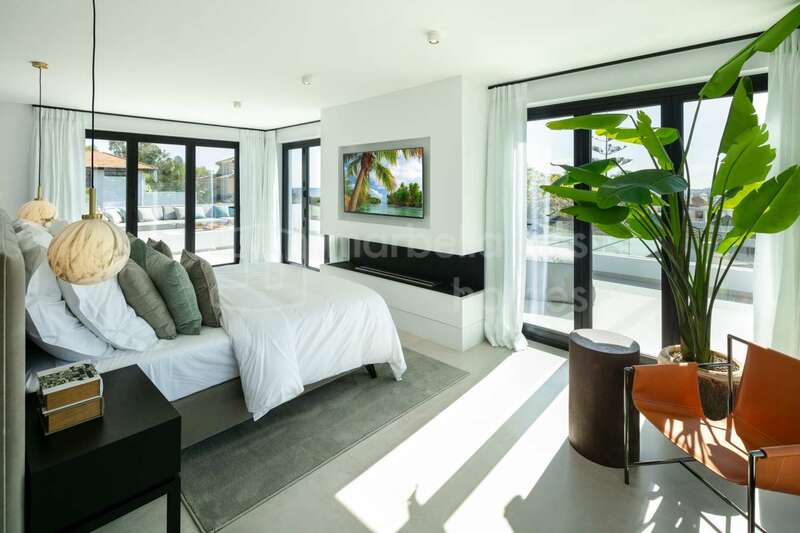 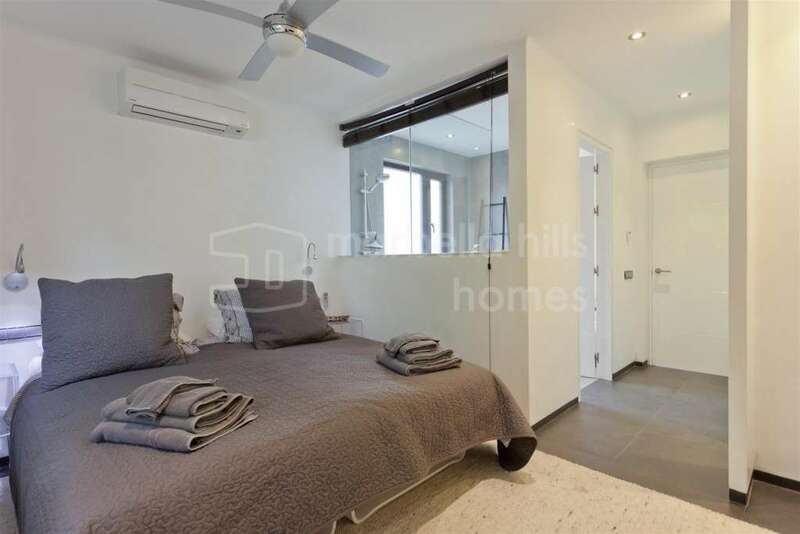 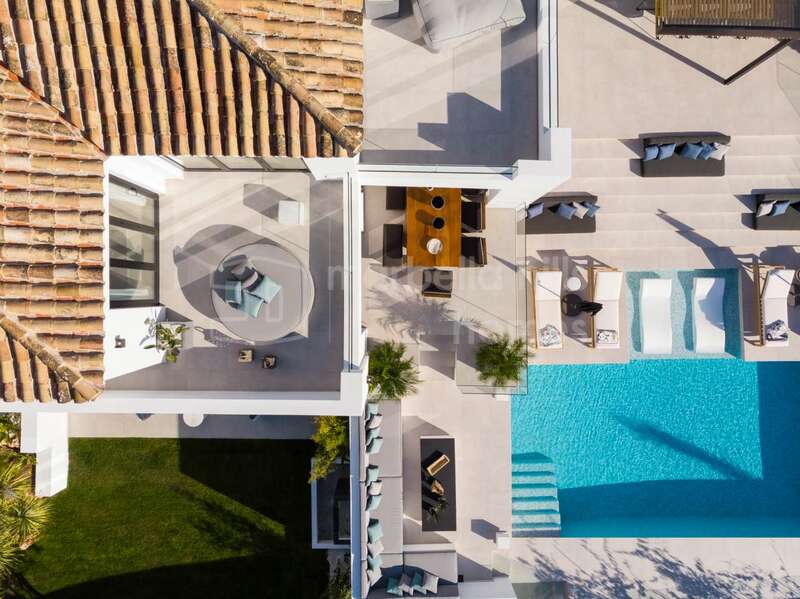 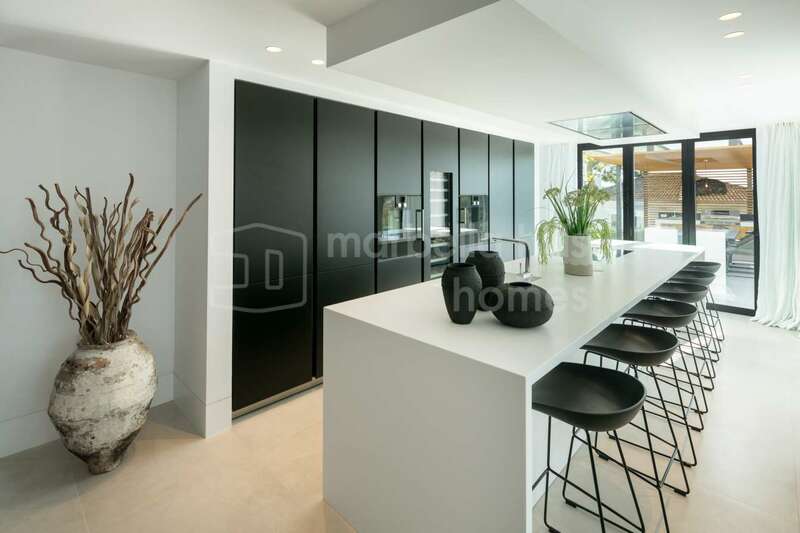 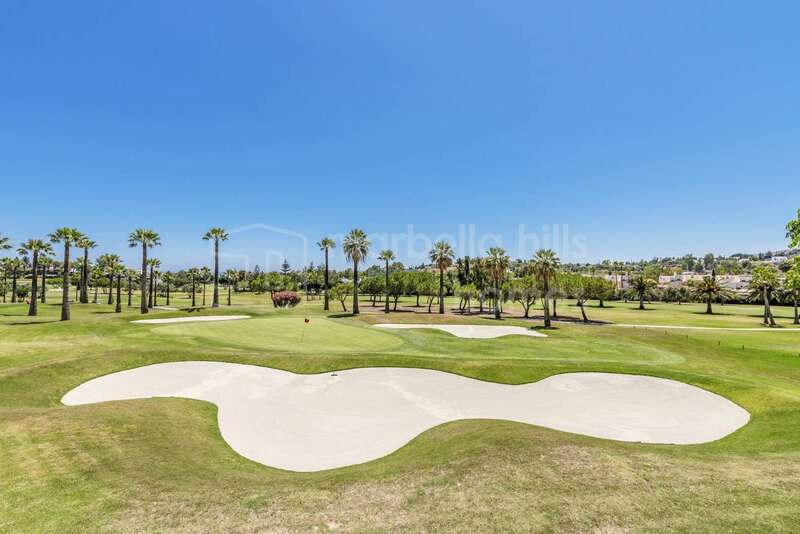 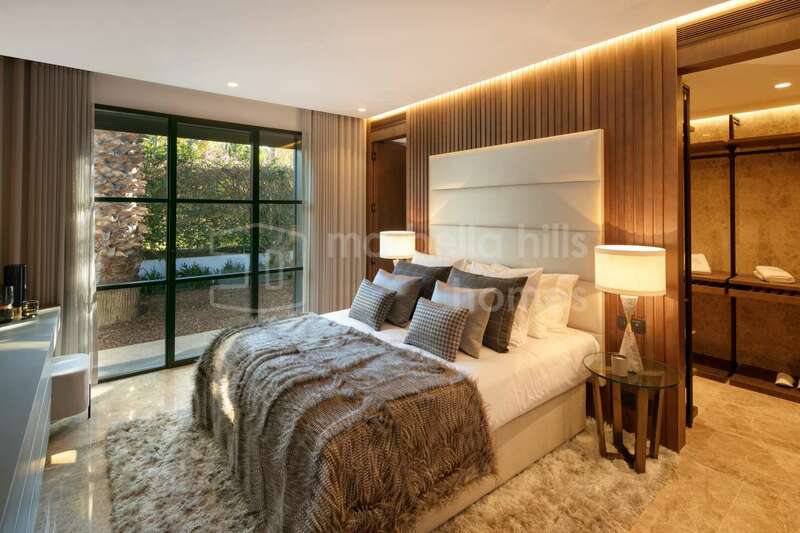 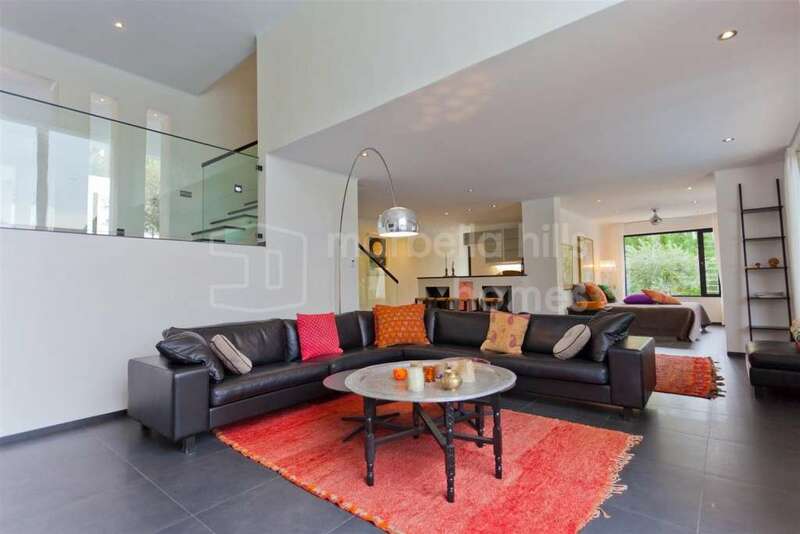 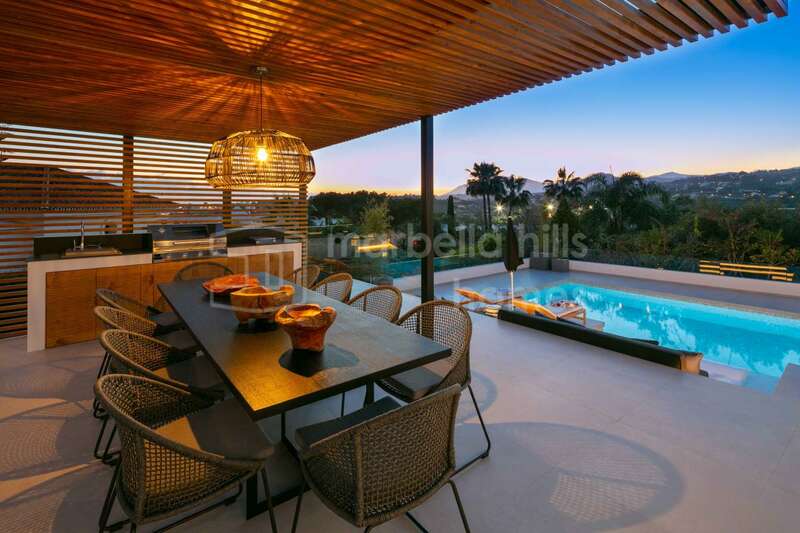 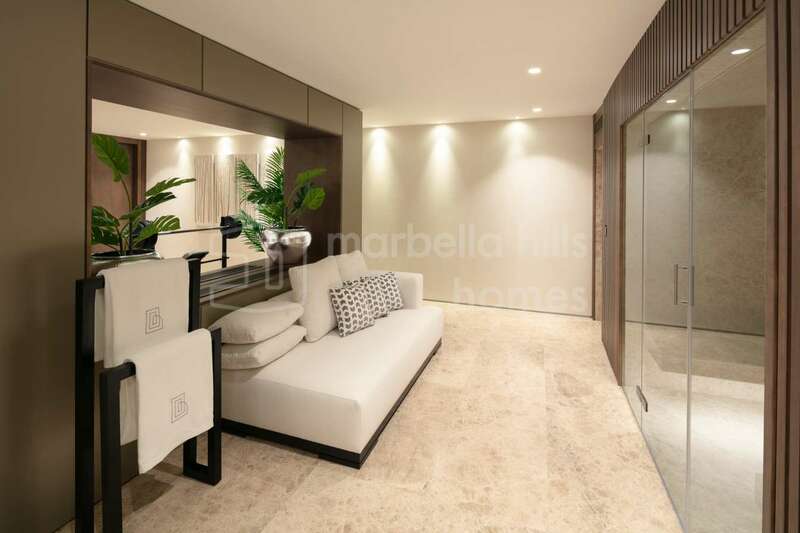 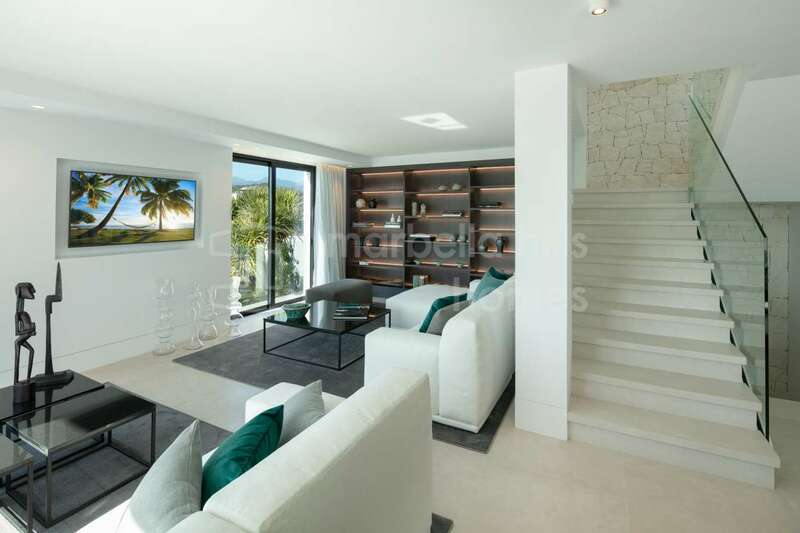 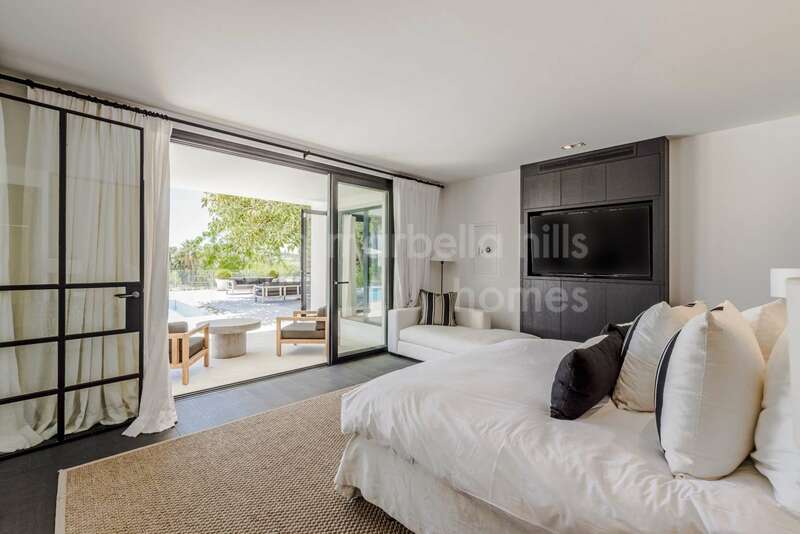 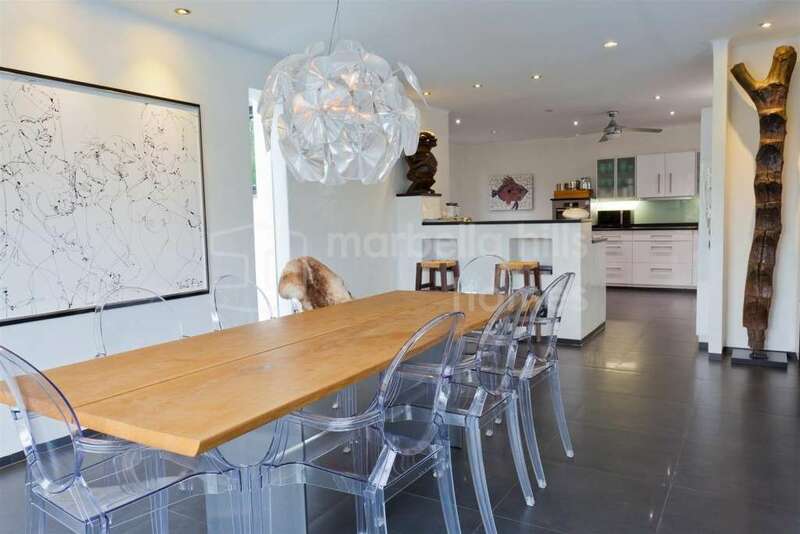 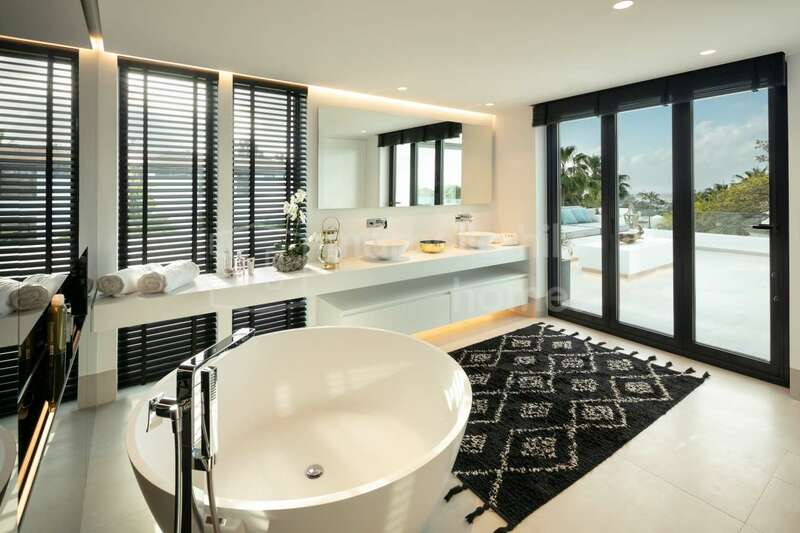 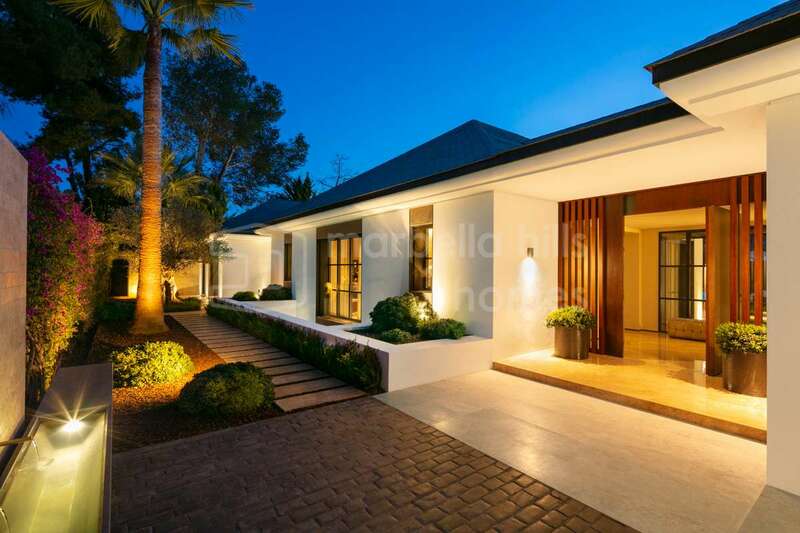 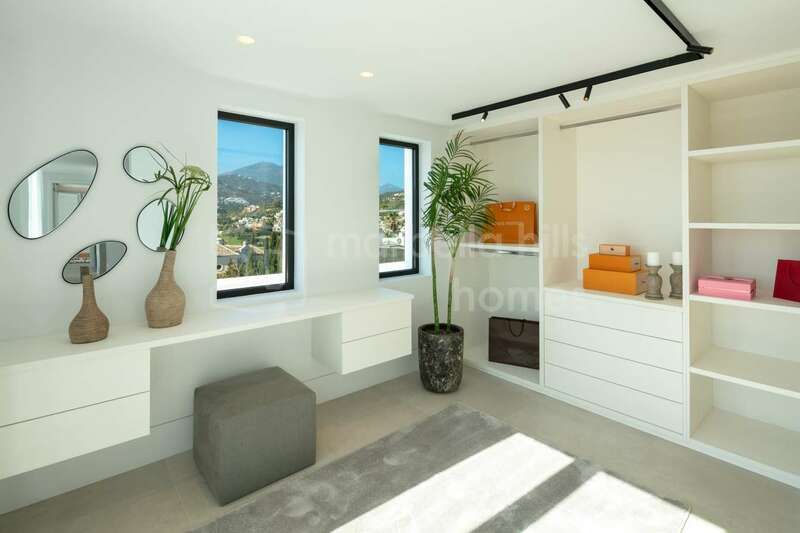 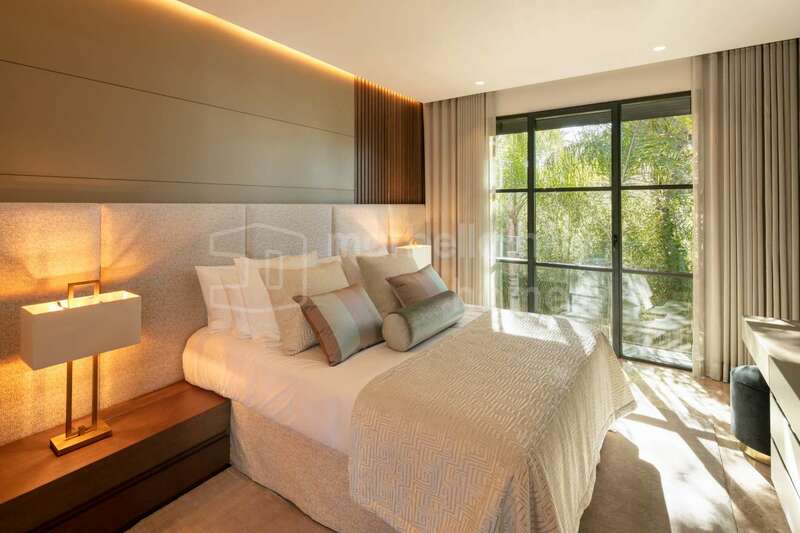 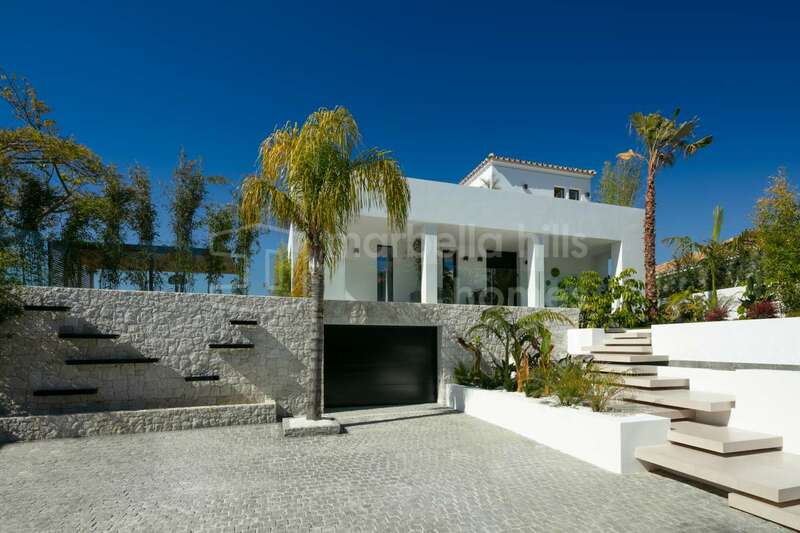 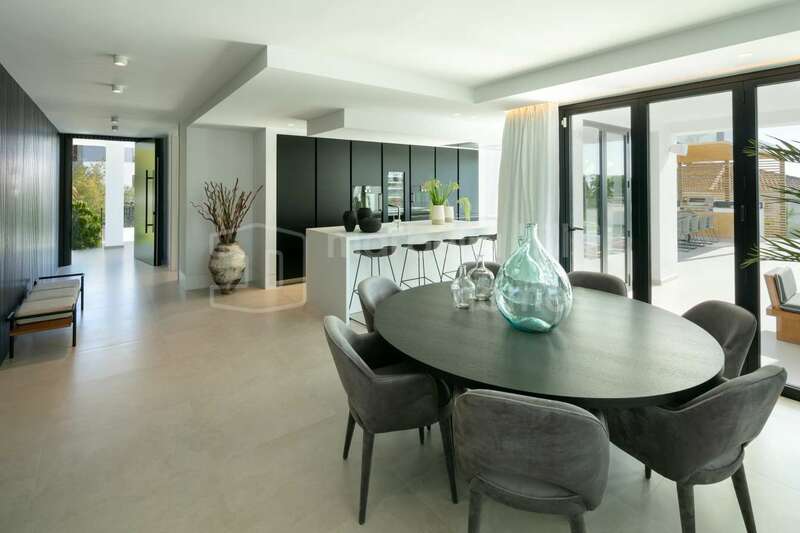 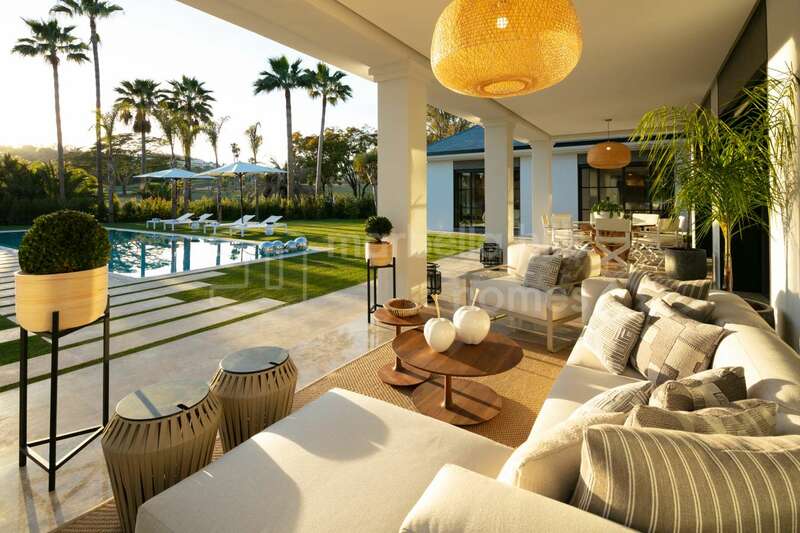 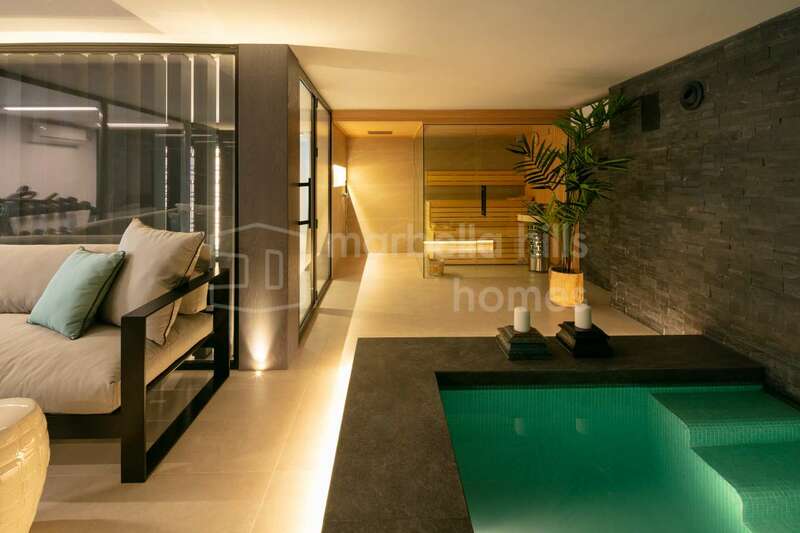 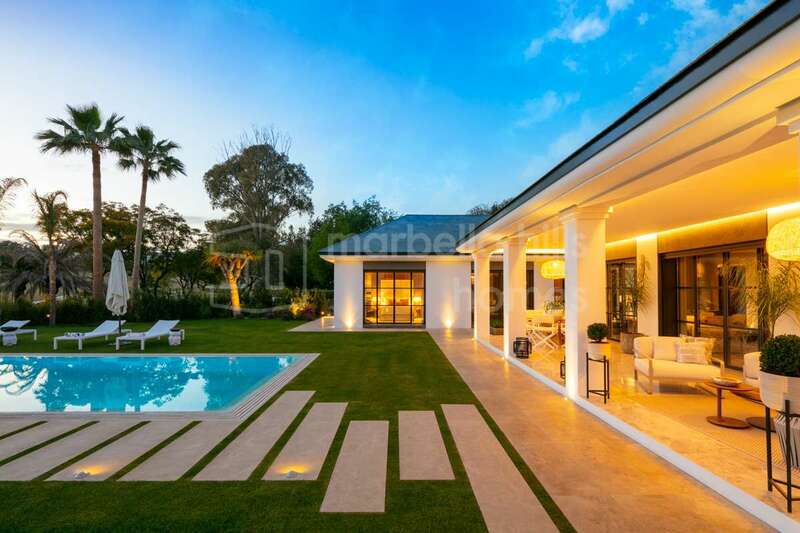 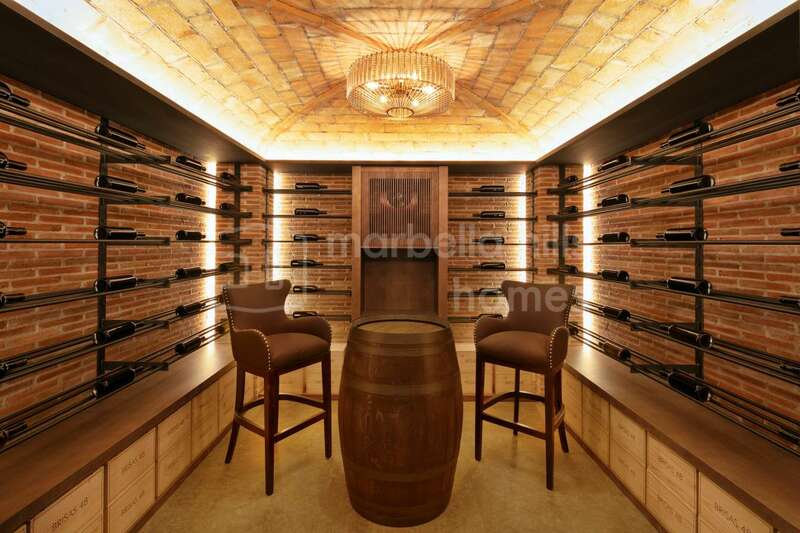 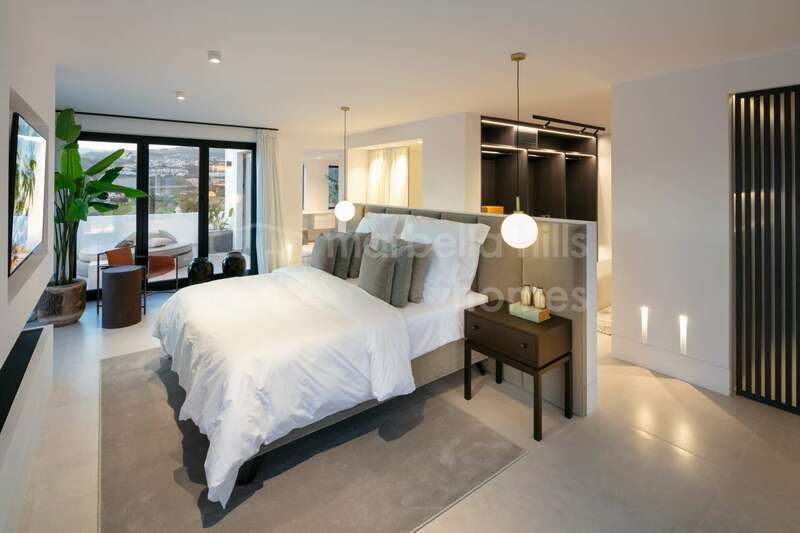 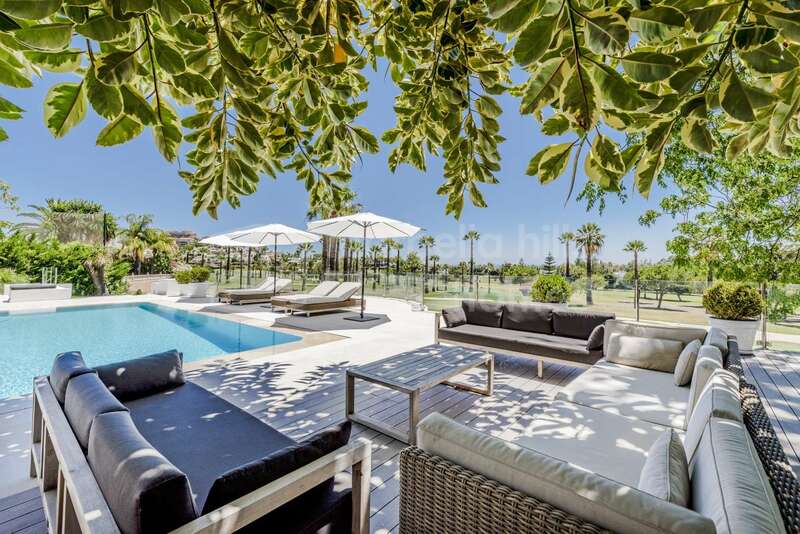 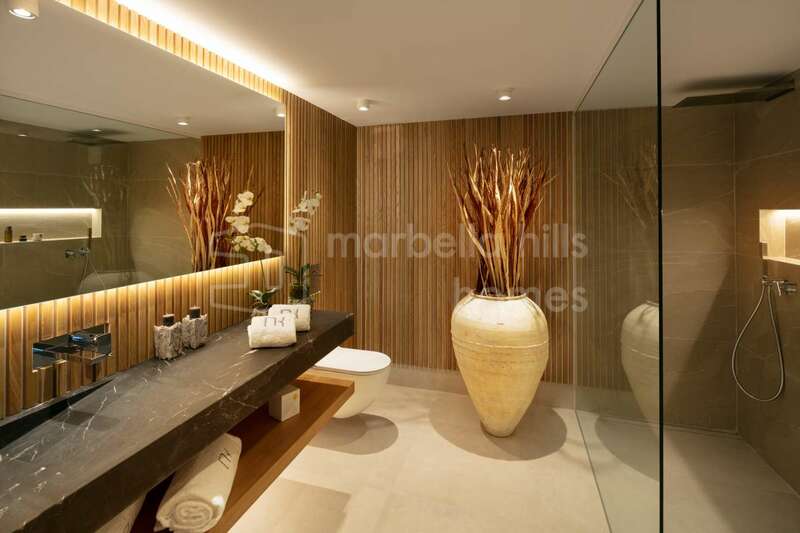 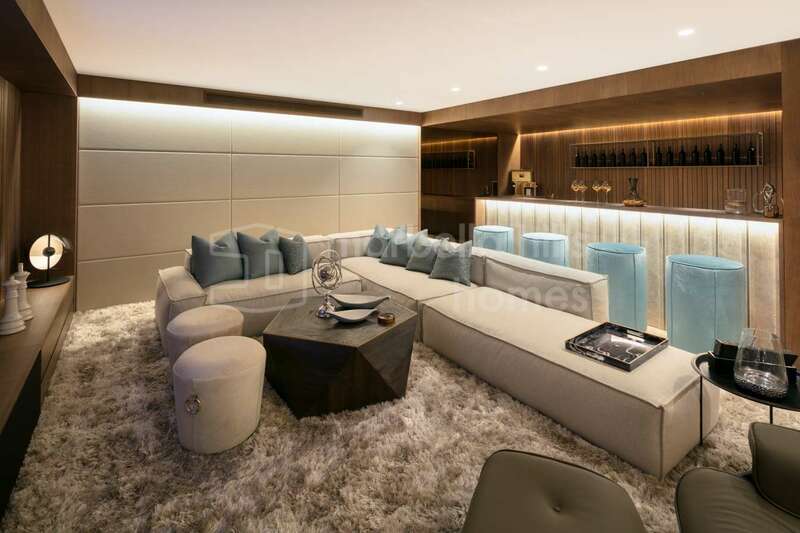 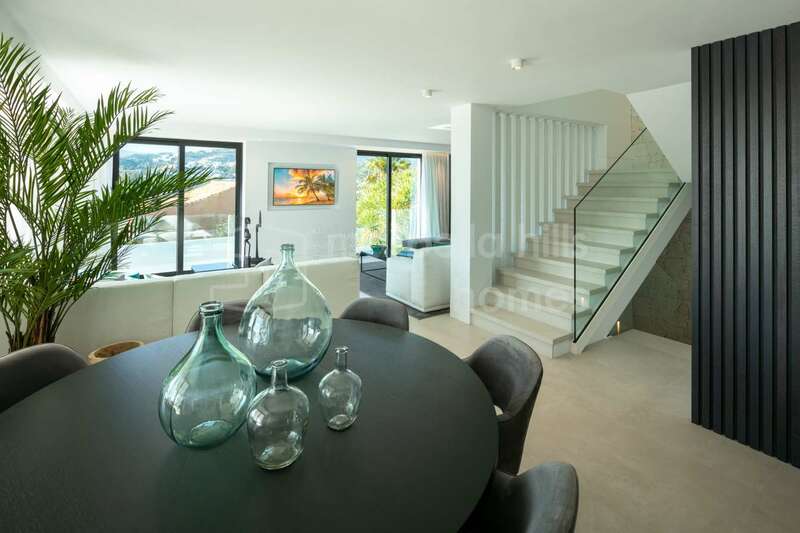 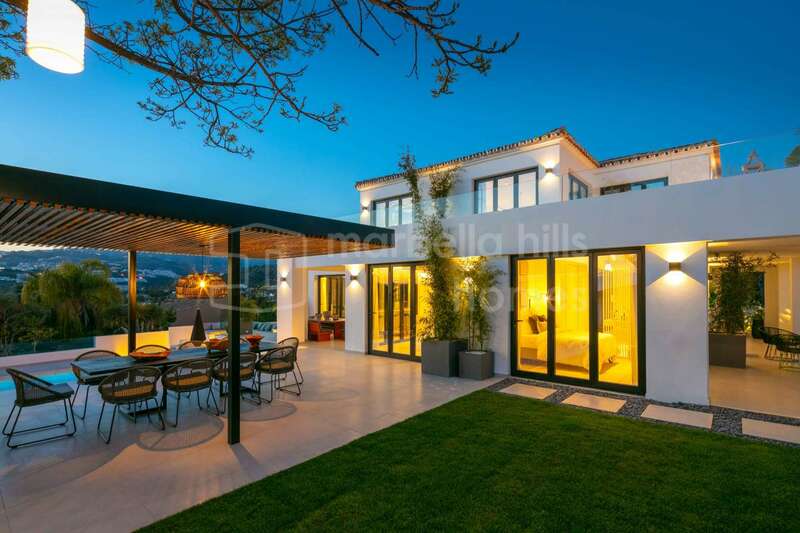 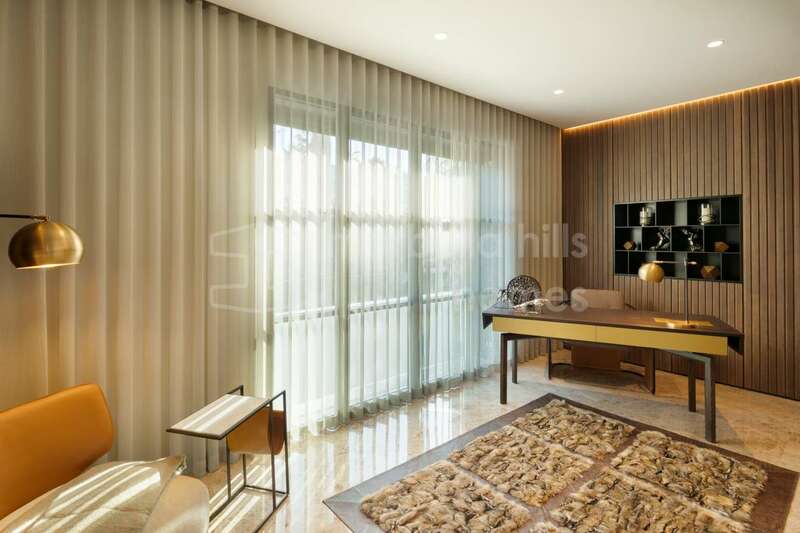 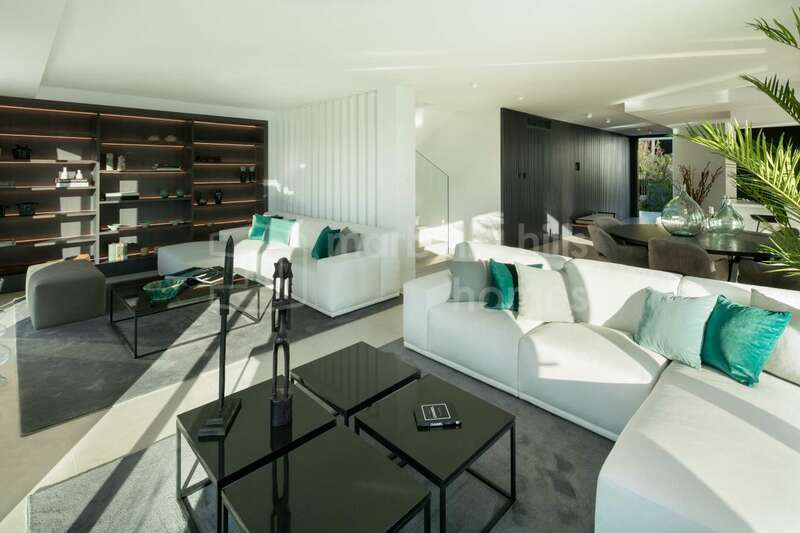 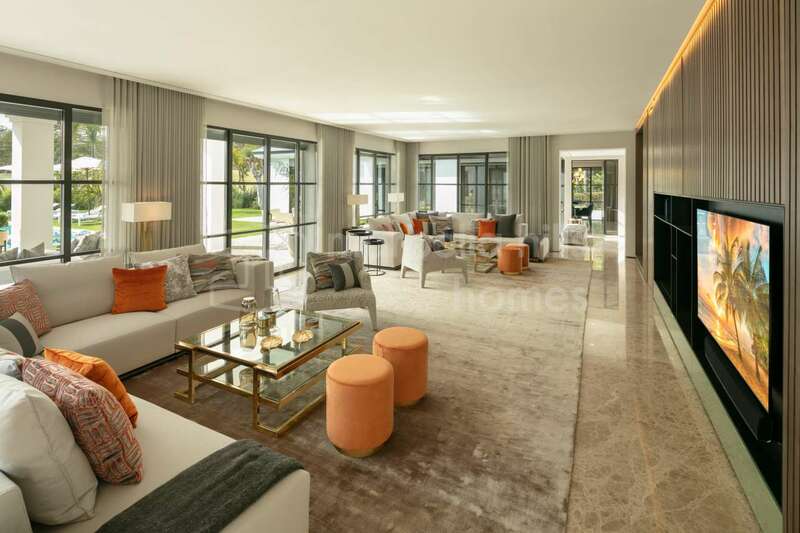 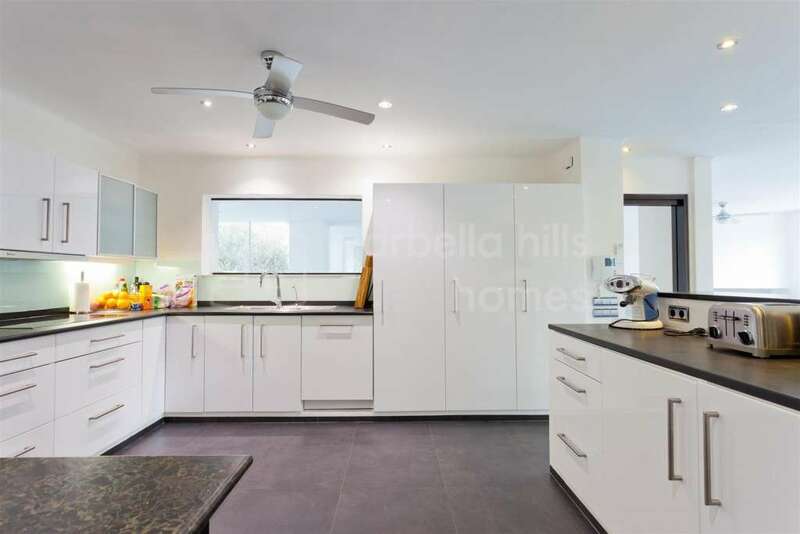 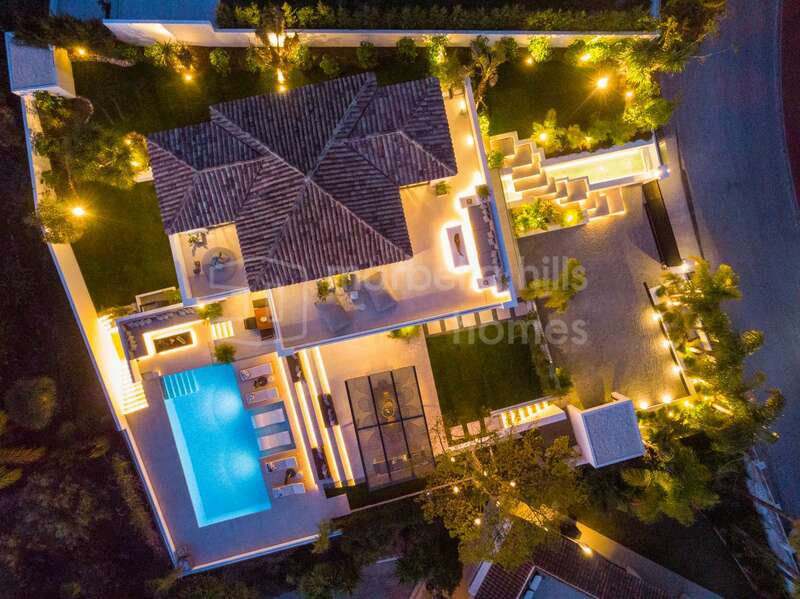 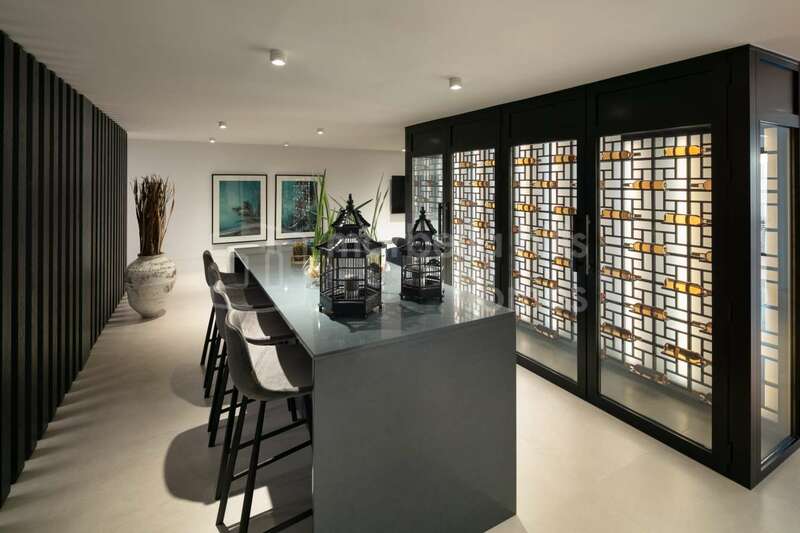 Fantastic 5 bedroom villa of contemporary architecture superbly located in Nueva Andalucia front line golf of the prestigious golf course of Los Naranjos within a secure residential complex 24/24 – Sublime view of the course and the mountains. 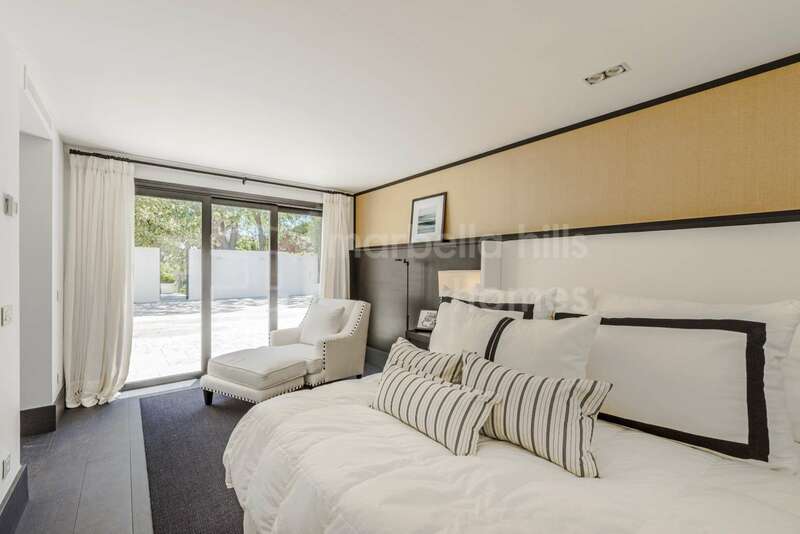 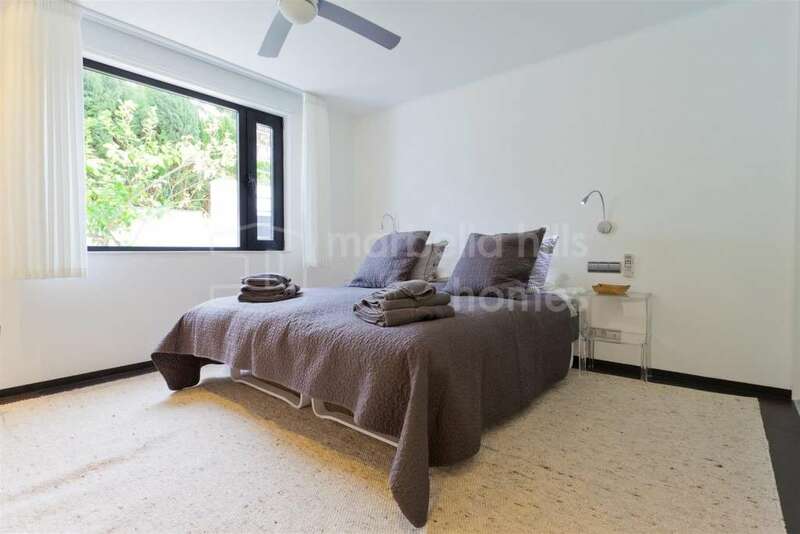 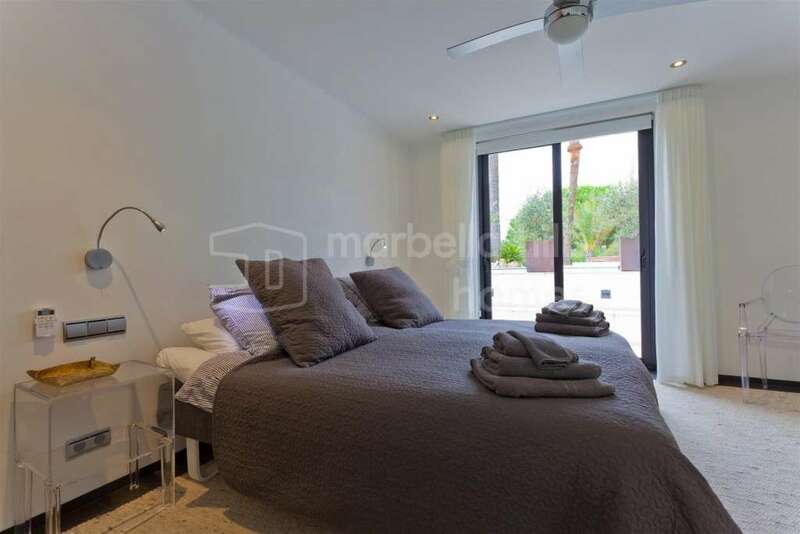 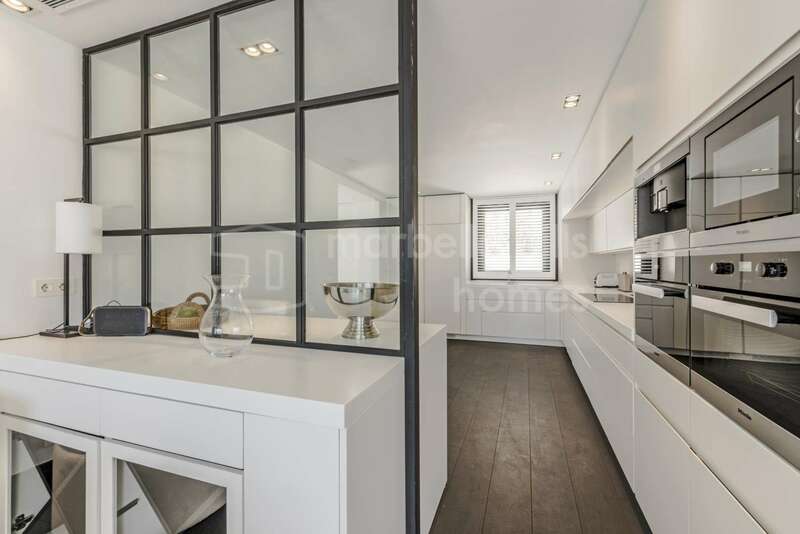 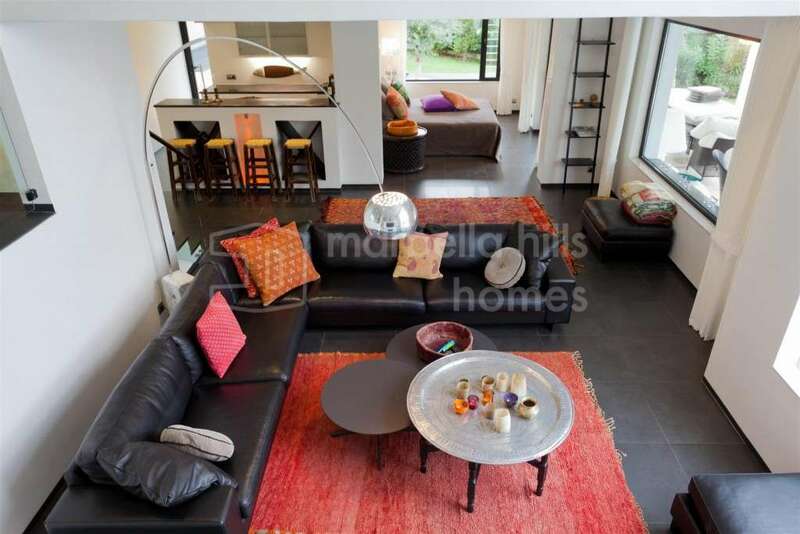 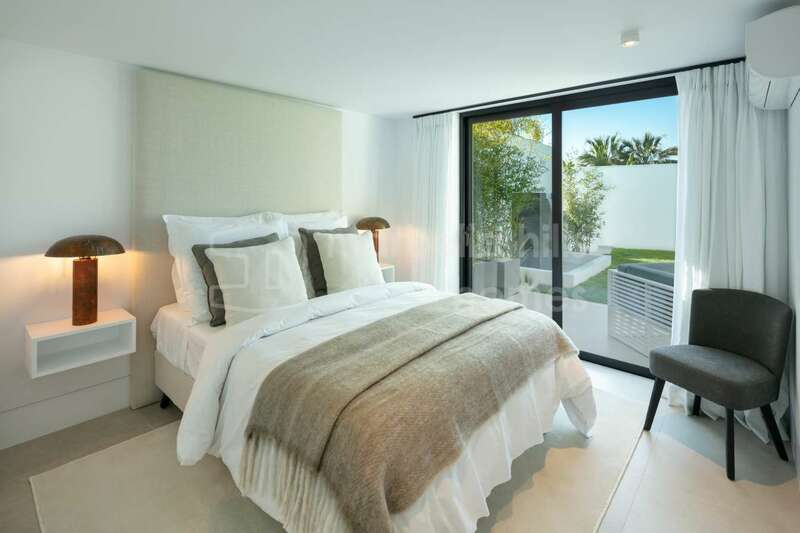 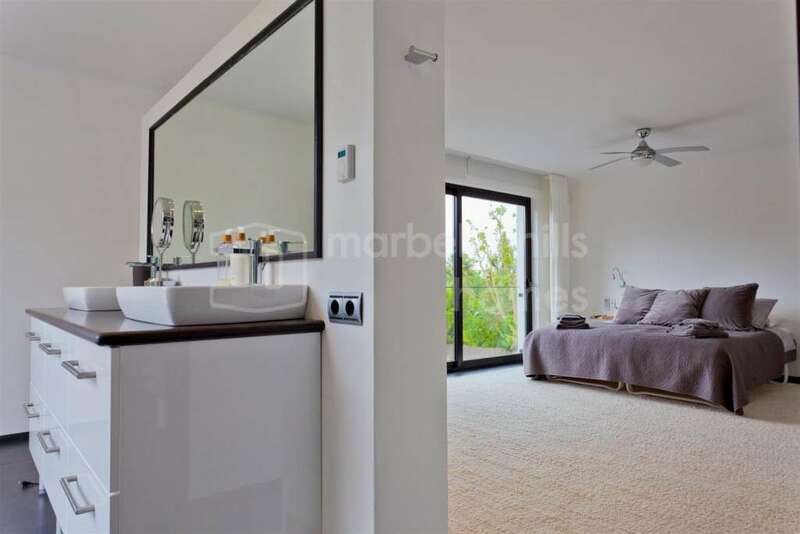 Only a few minutes from Puerto Banùs, beaches and all amenities. 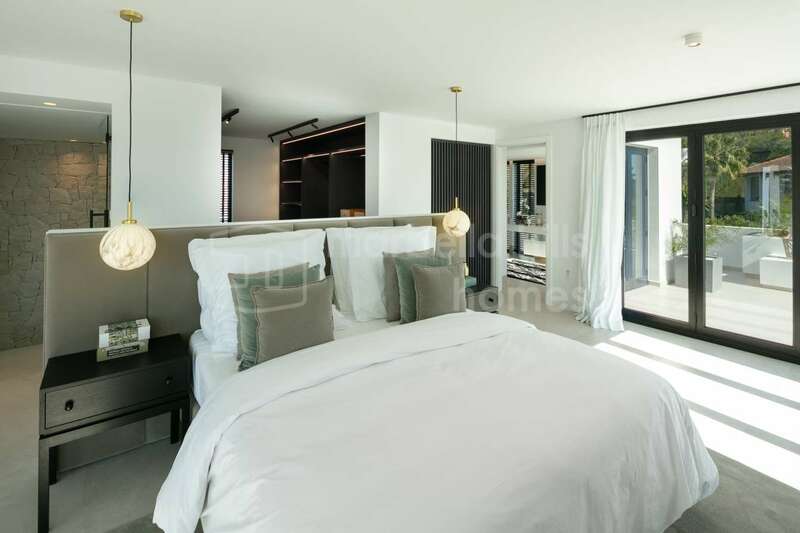 This luxurious, fully renovated, top-level home offers a refined design style down to the last detail, offering elegant and spacious living spaces extended by huge covered and uncovered terraces offering breathtaking views of the course and the mountain La Concha, a sumptuous high-tech fully equipped dining kitchen, 5 bedrooms with 5 luxurious bathrooms, stunning gardens, a fantastic private pool, private garage. 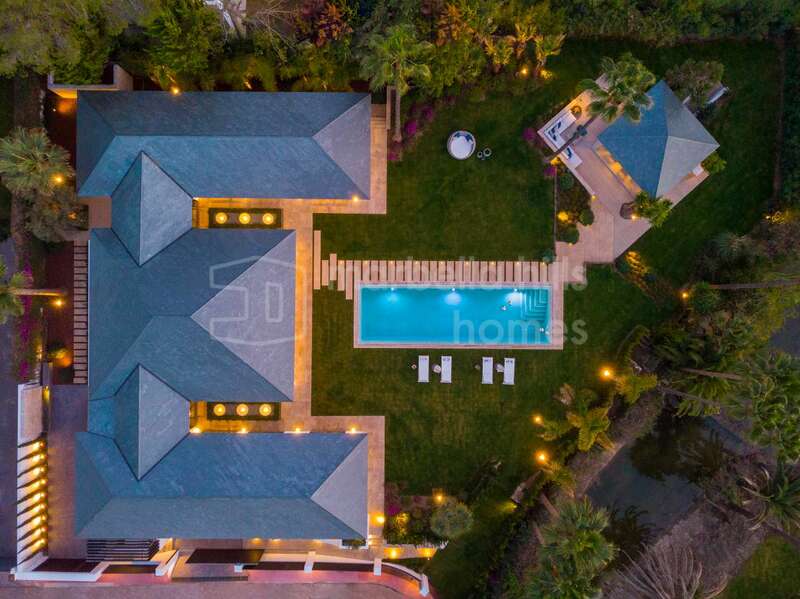 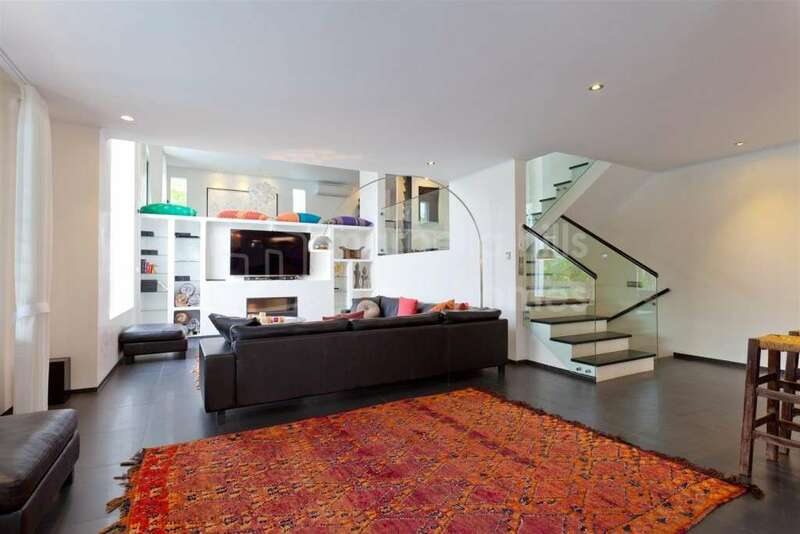 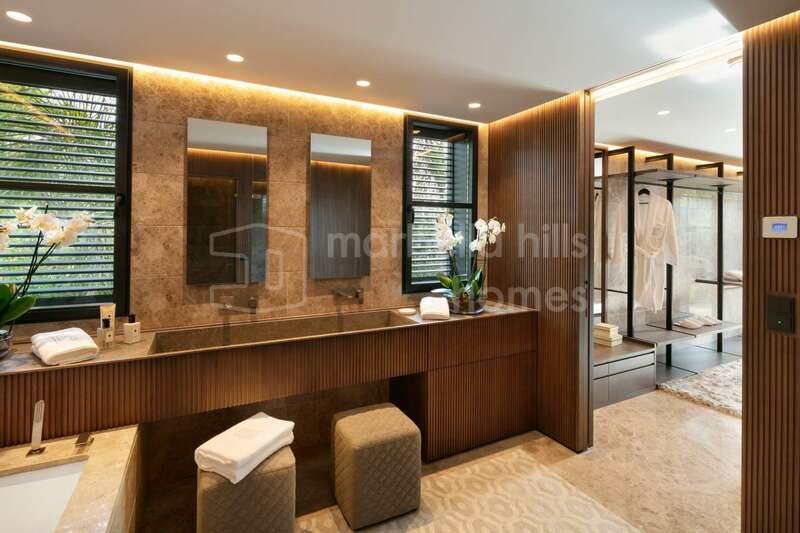 A unique property in an exceptional setting! 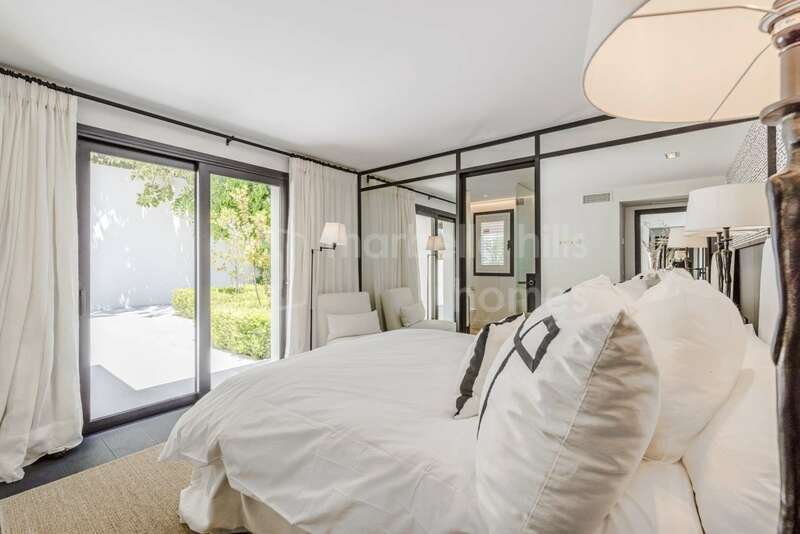 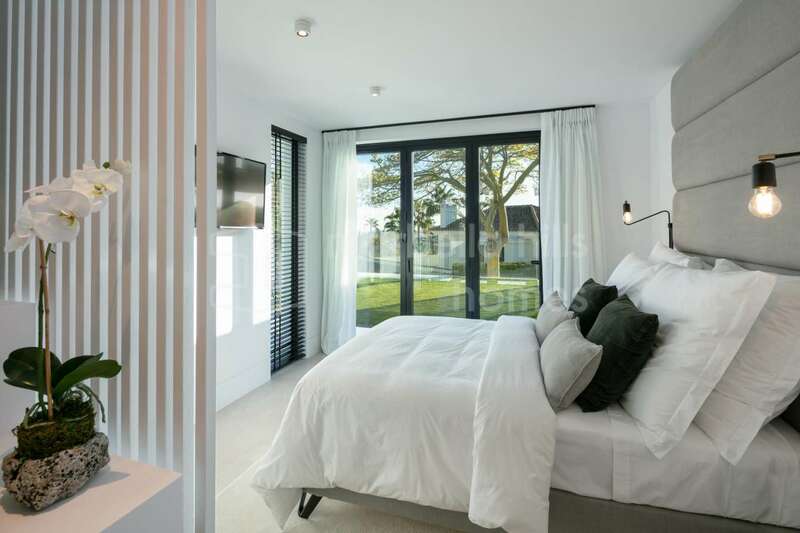 Front line golf, Fully fitted kitchen, Close to shops, Close to port, Close to schools, Utility room, Fireplace, Marble floors, Satellite TV, Guest room, Storage room, Alarm, Double glazing, Brand new, Dining room, Security service 24h, Guest toilet, Kitchen equipped, Living room, Amenities near, Mountain view, Golf view, Underfloor heating (throughout), Transport near, Home automation system, Dolby Stereo Surround system, Laundry room, Internet - Wifi, Covered terrace, Electric blinds, Fitted wardrobes, Air conditioning, Unfurnished, Close to children playground, Close to Golf, Uncovered terrace, Separate dining room, Open plan kitchen, Excellent condition, Recently Renovated/Refurbished.